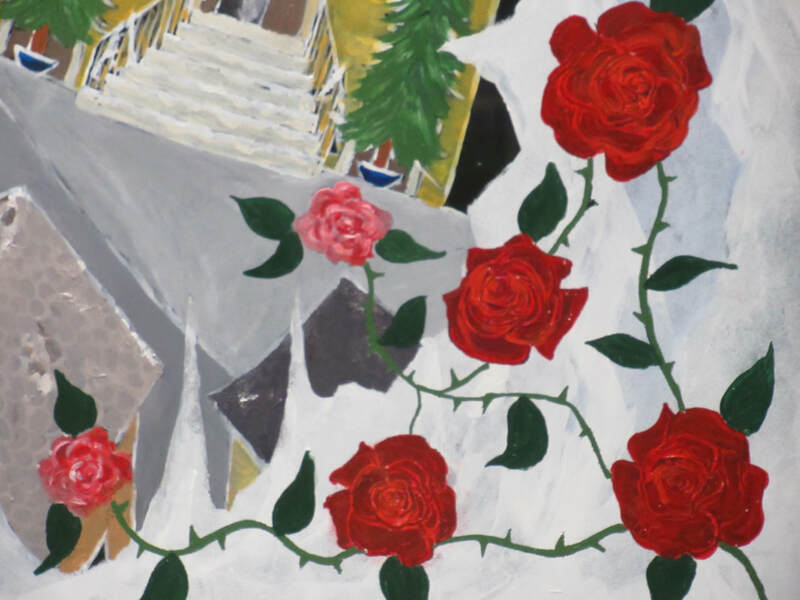 I've been a mural artist for several years, starting as a BA (Hons) Fine Art Degree student 20 years ago then later as a teacher painting the school and classroom windows of every place I worked in. But it was only until 2015 that I really started to take mural painting more seriously and realised that I had a real passion for it! 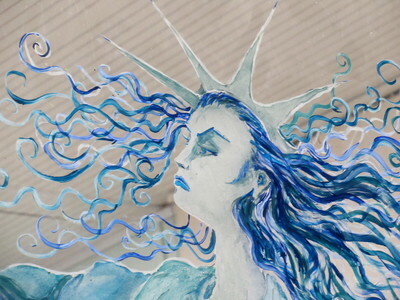 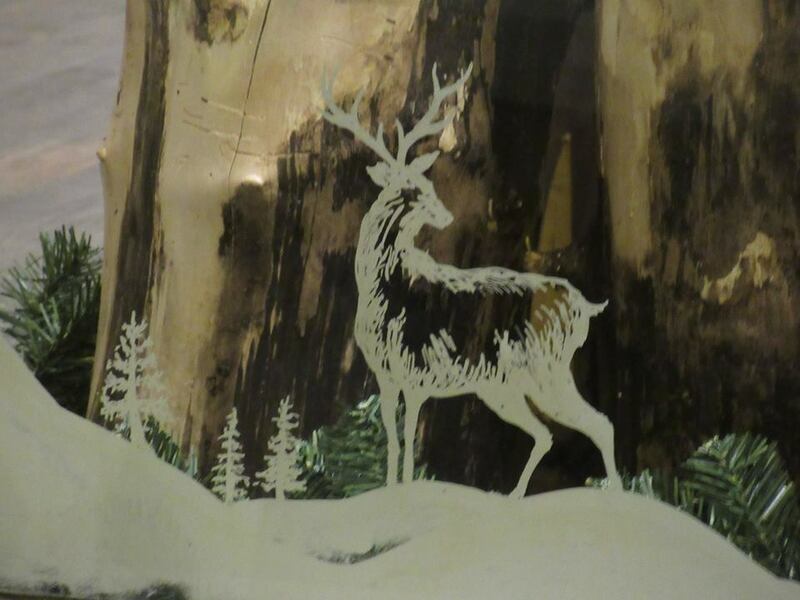 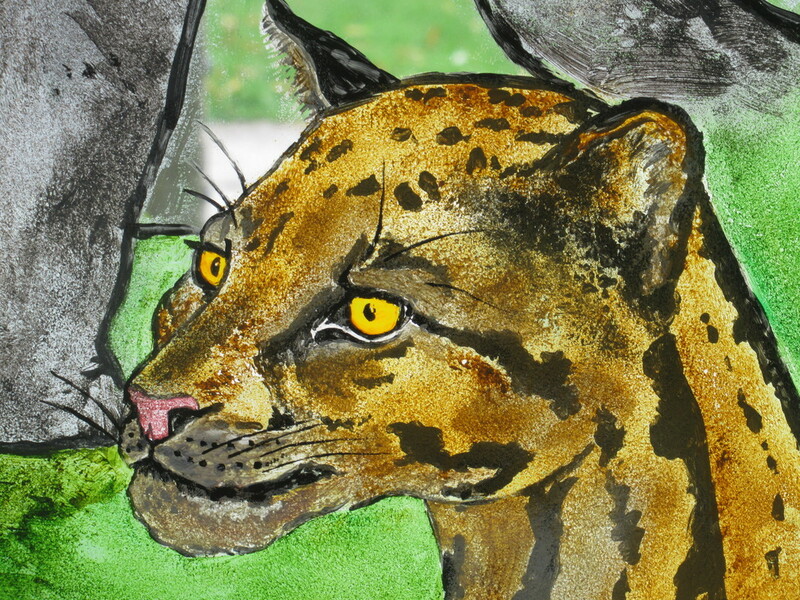 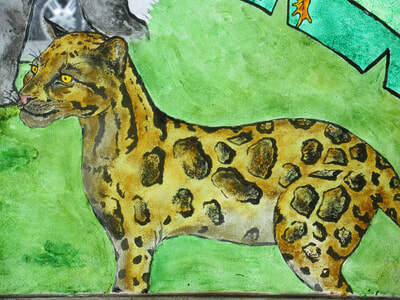 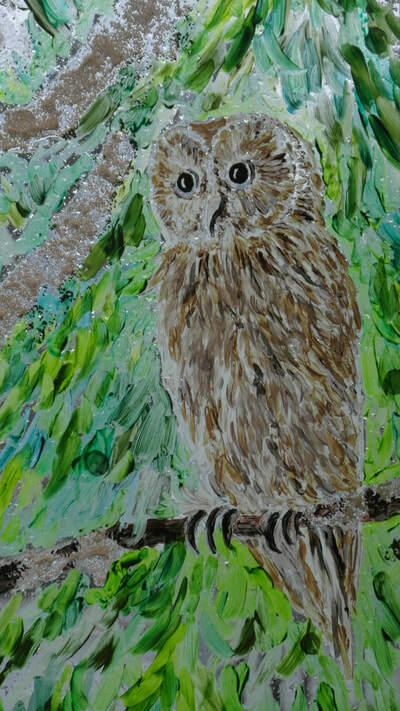 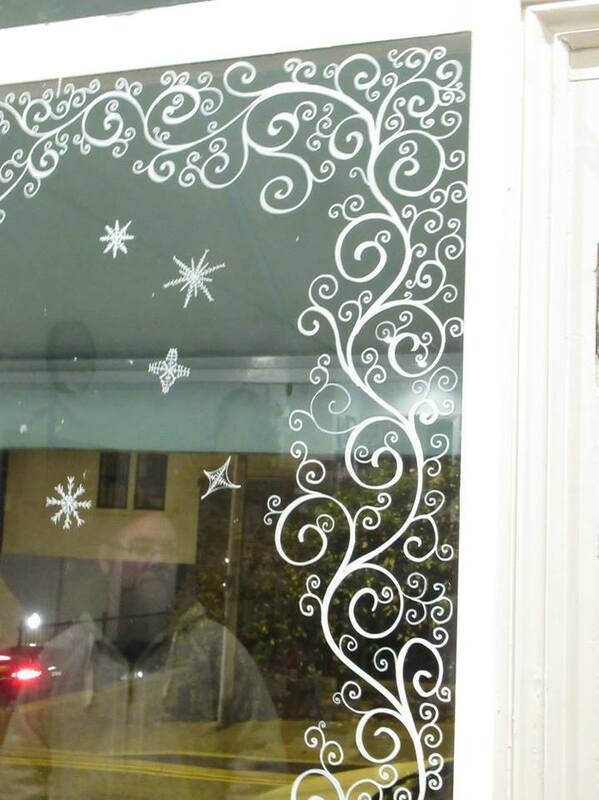 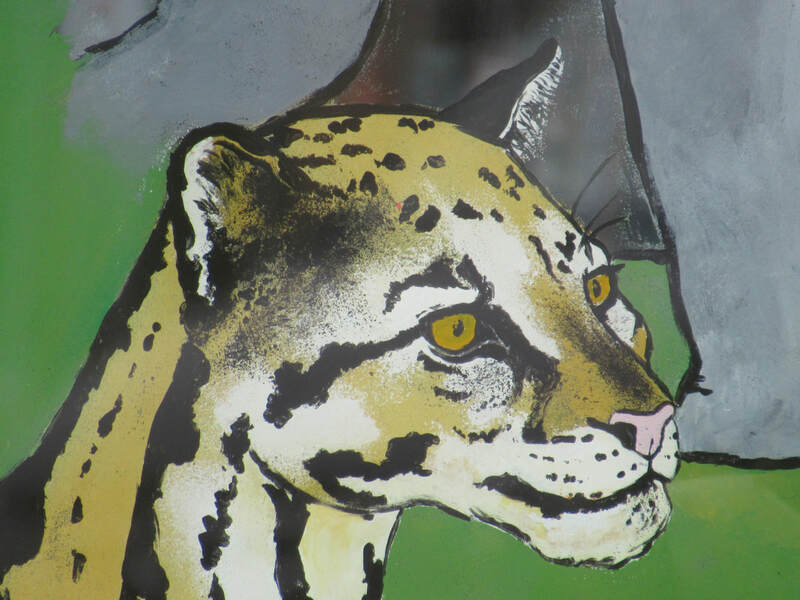 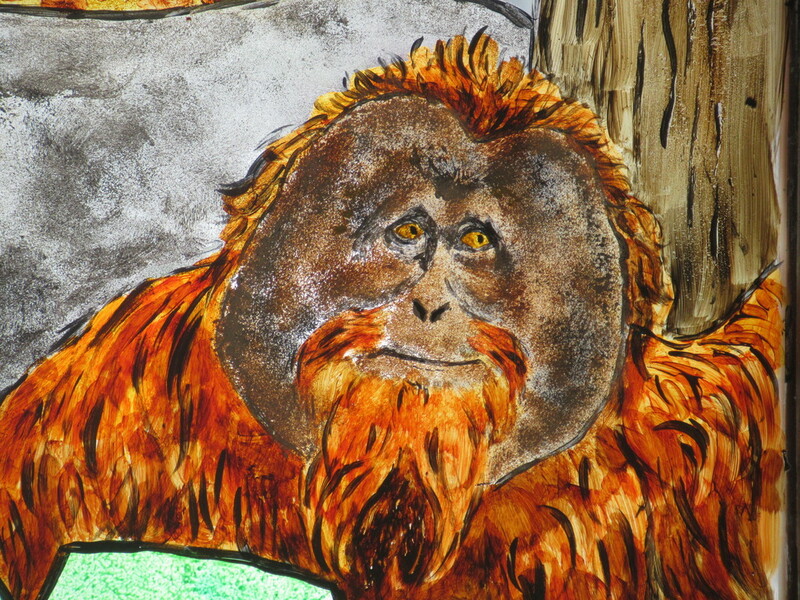 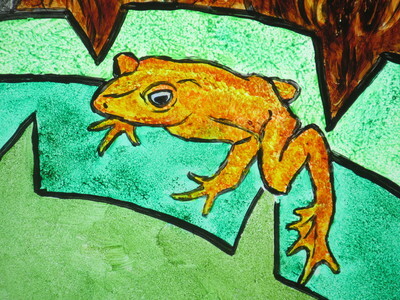 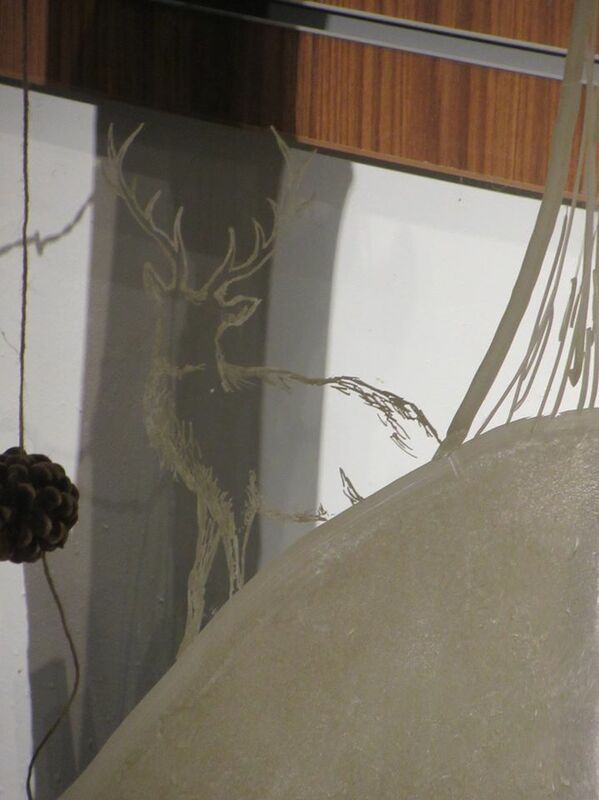 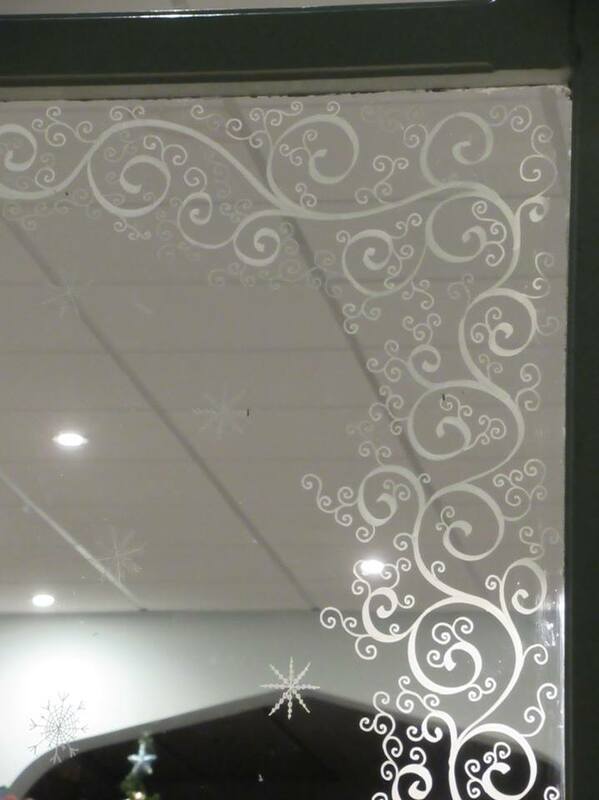 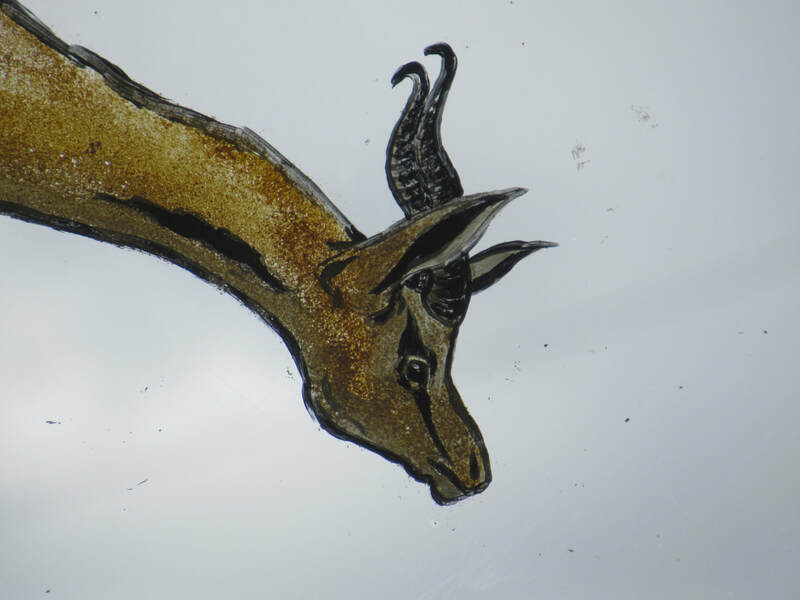 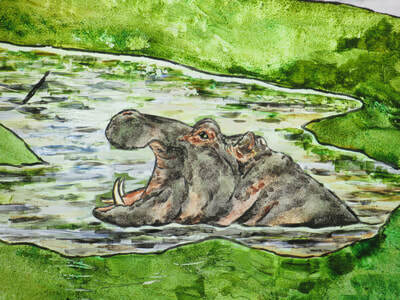 All my murals are hand painted using the finest quality acrylic and glass paints*. 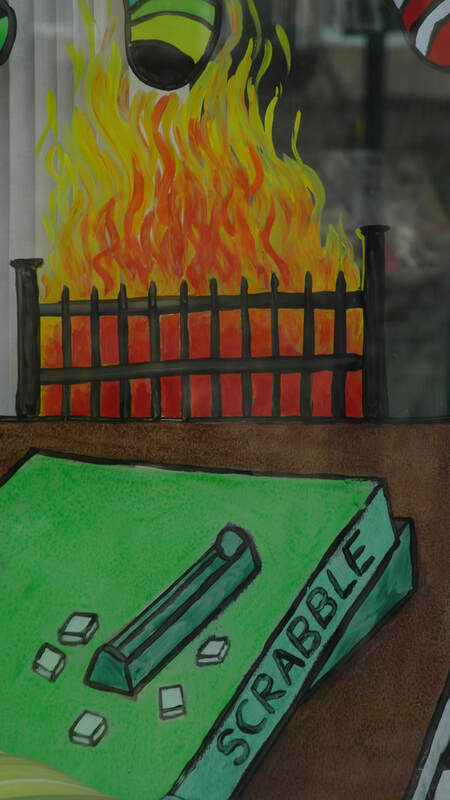 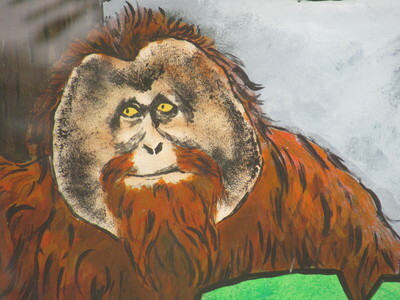 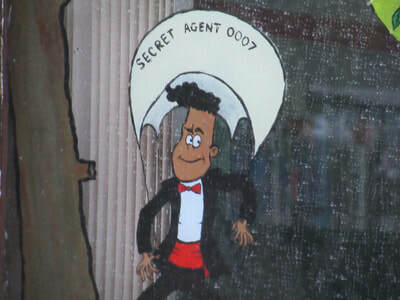 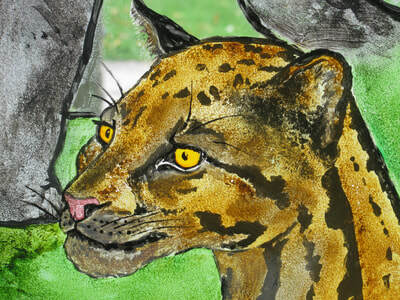 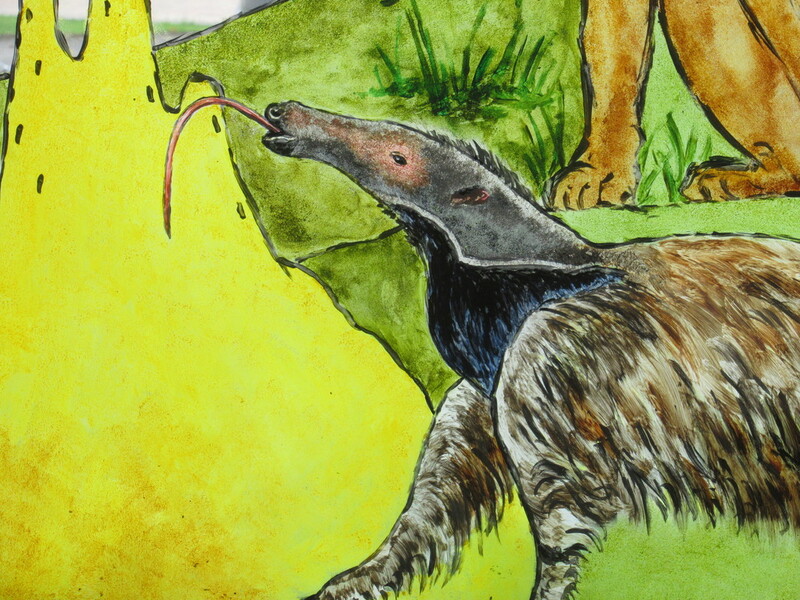 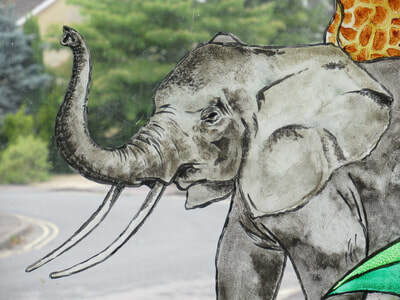 As with all my artwork, each mural is entirely original and unique to the client. 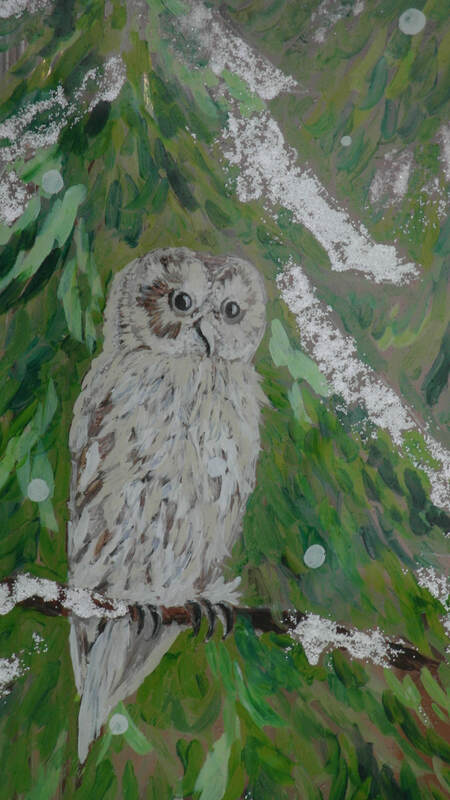 I can paint any subject and in any preferred style a client wants. I primarily work in the Bristol, Gloucestershire and Cotswold areas of the UK, but may be willing to travel further for a special commission. 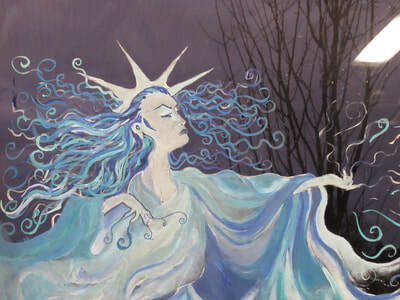 For more details please look at my pricing page and contact me using the contact form. 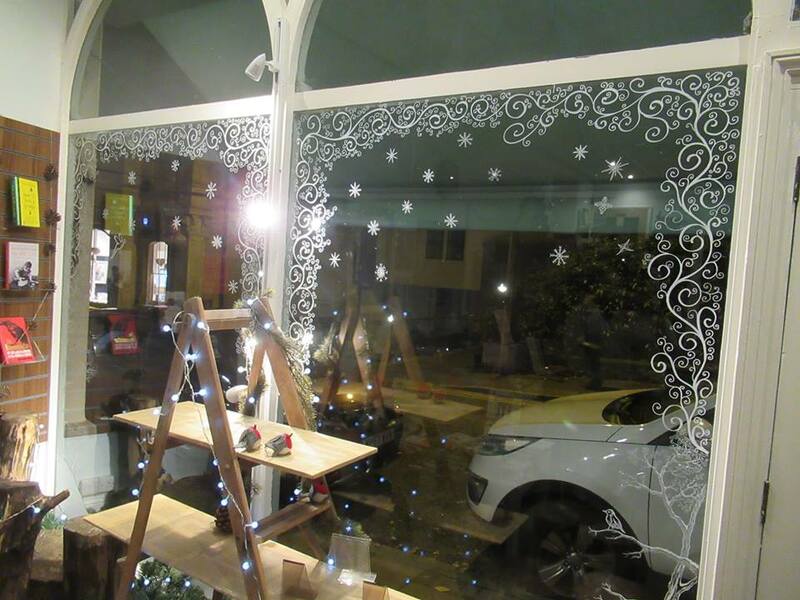 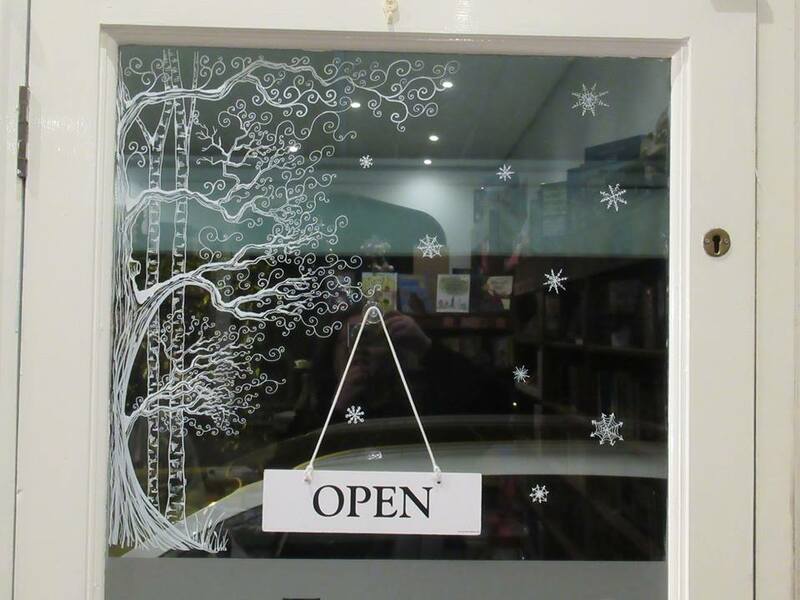 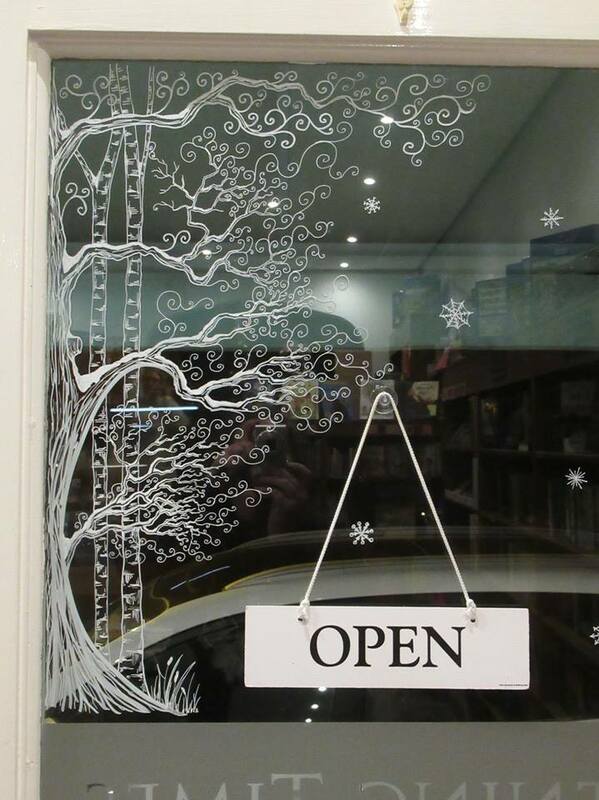 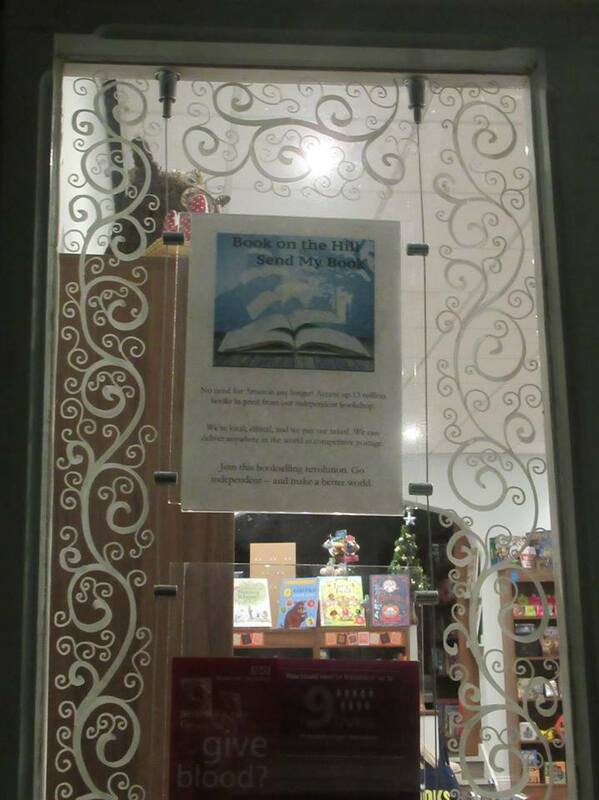 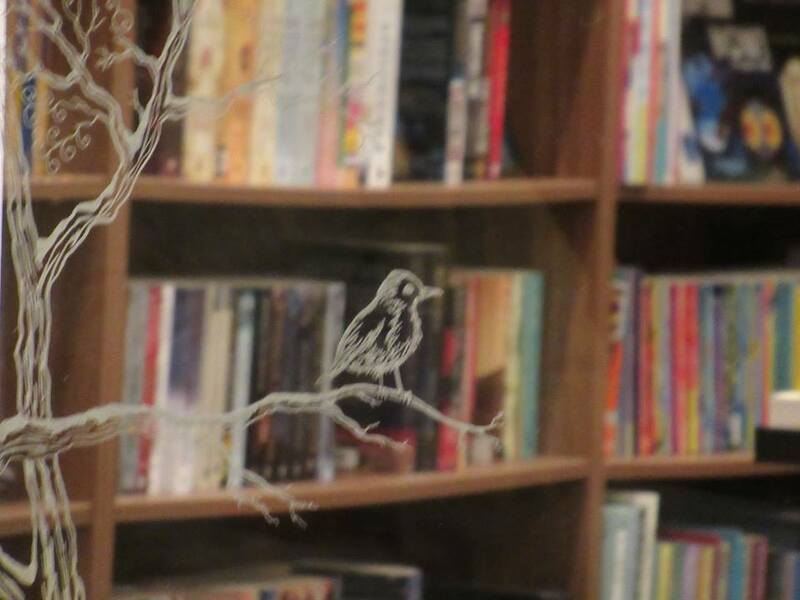 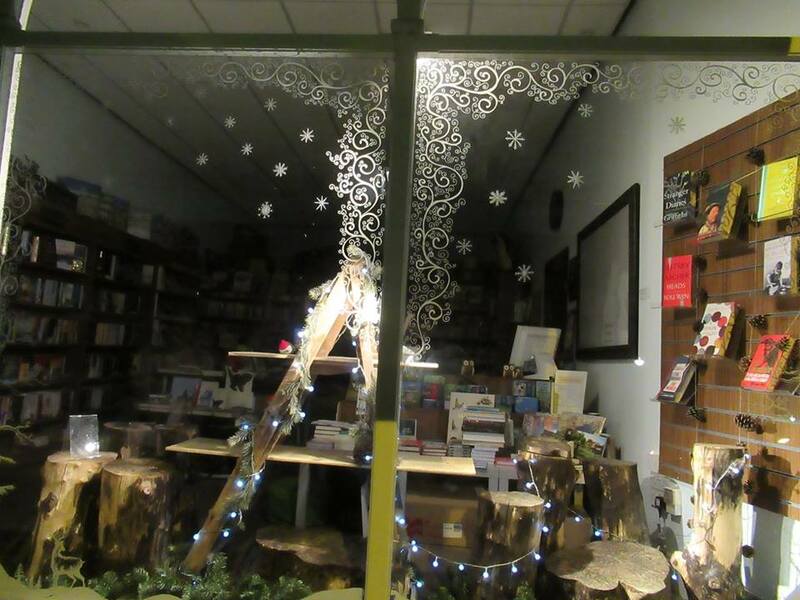 Below is a gallery of some of the designs I created for the main shop window at Clevedon's, 'Books On The Hill' bookshop in November 2018, which helped attract even more customers through the doors! 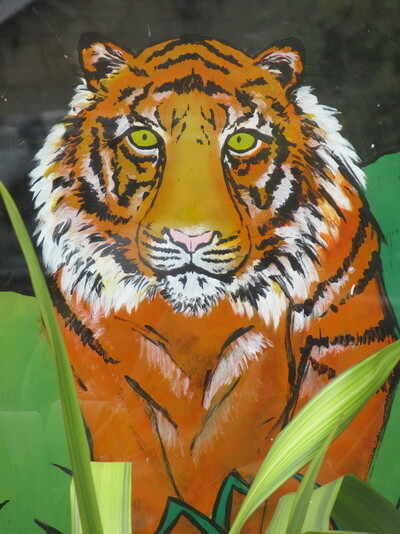 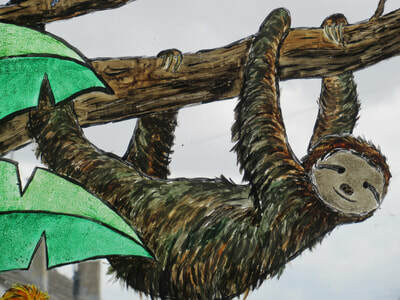 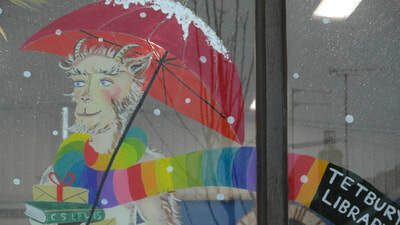 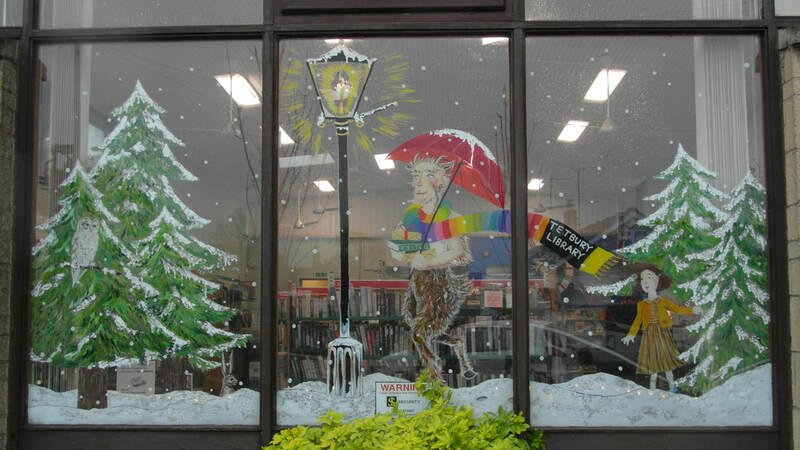 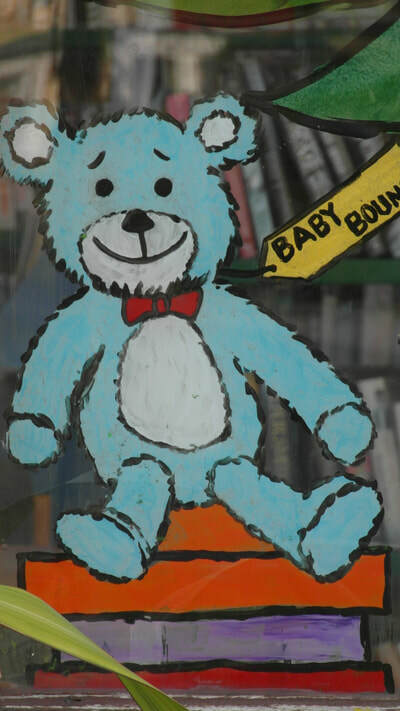 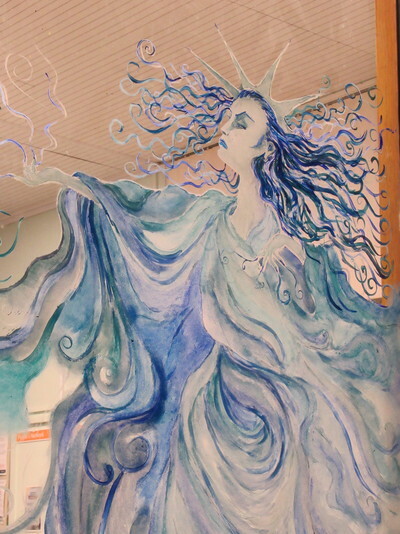 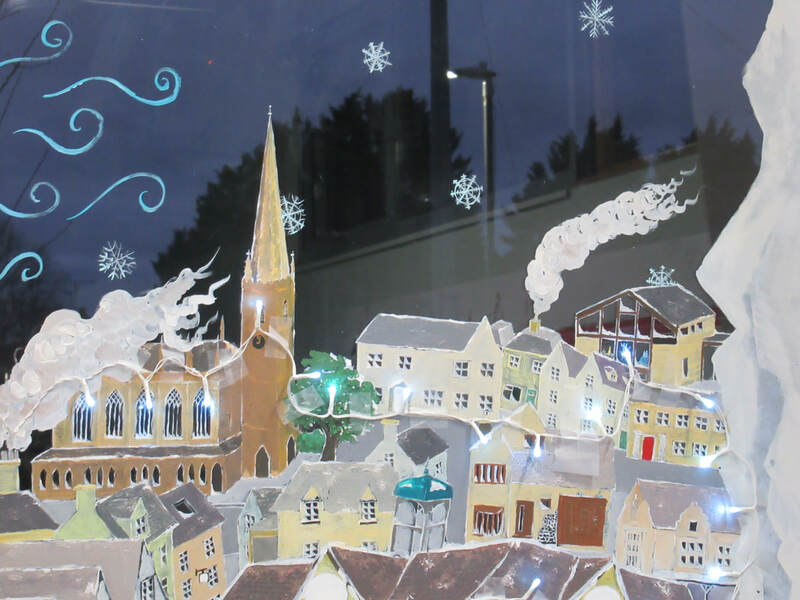 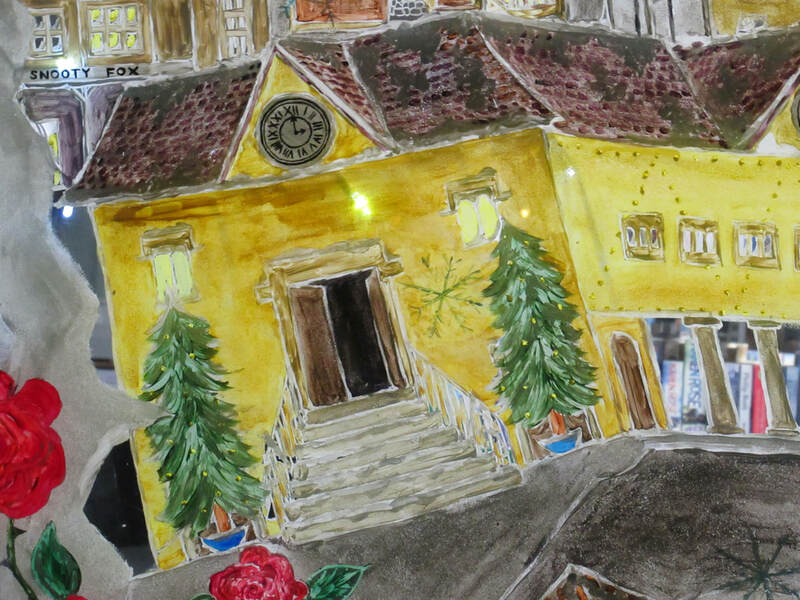 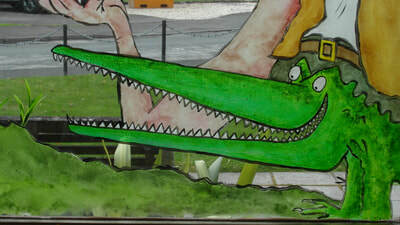 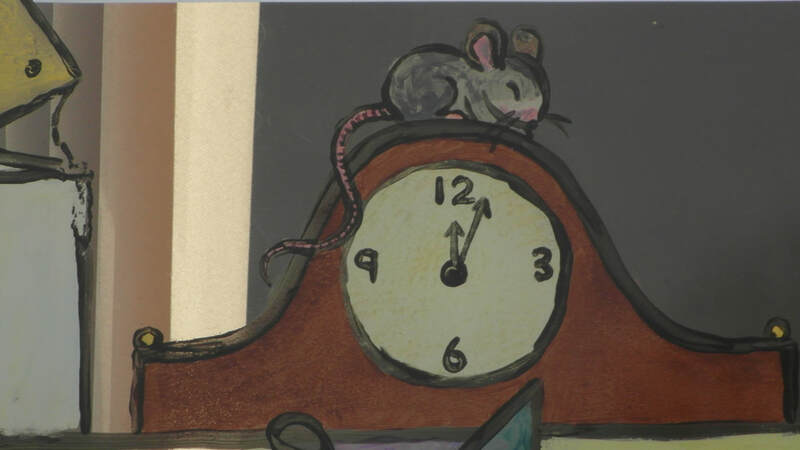 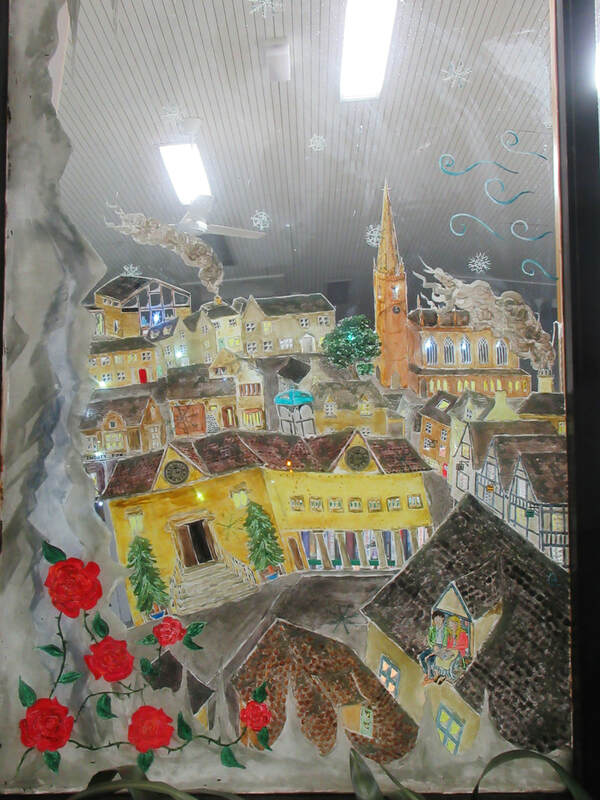 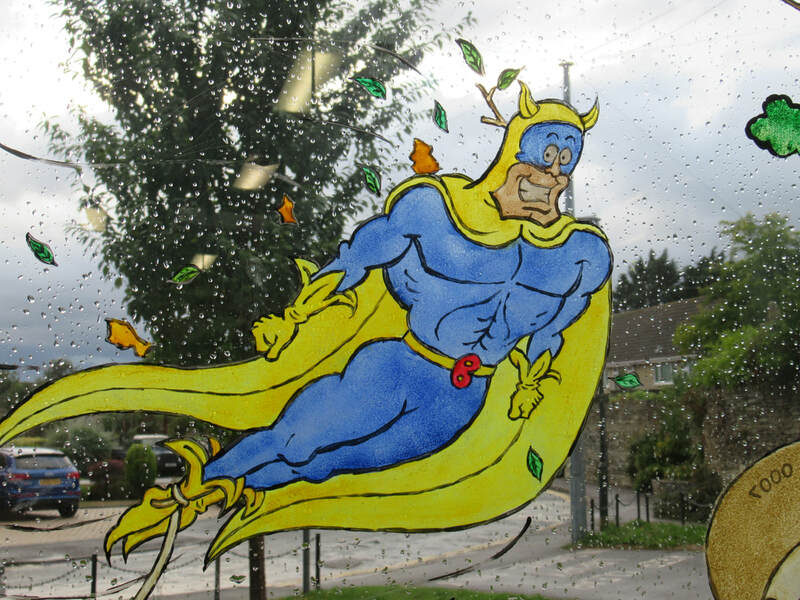 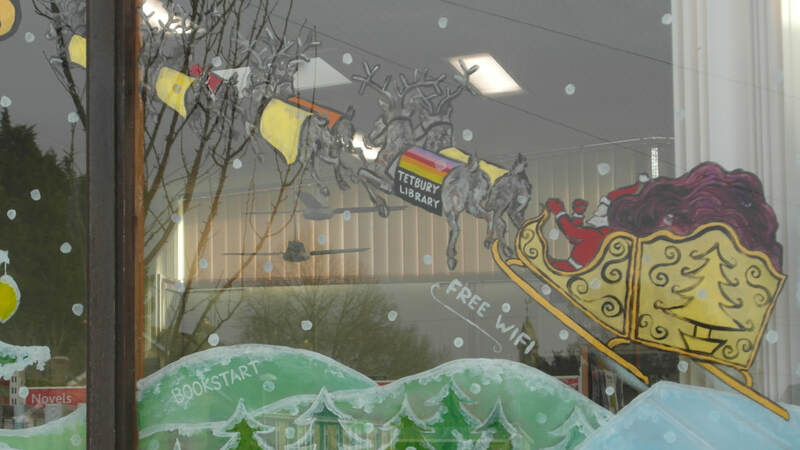 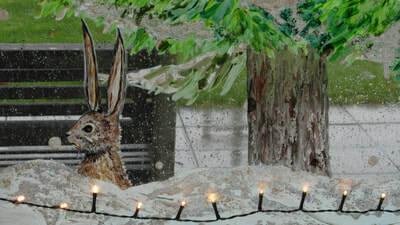 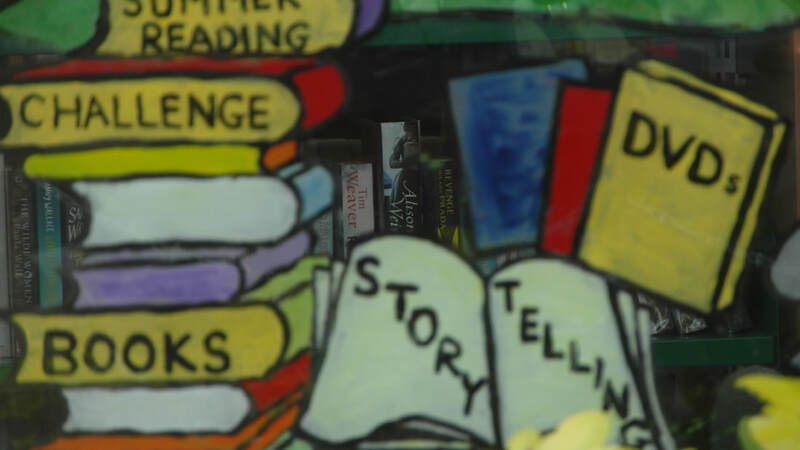 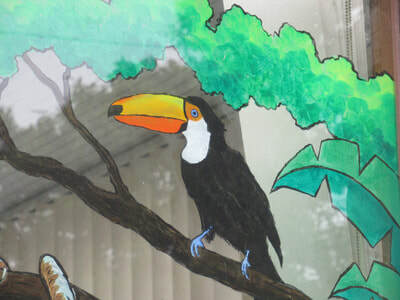 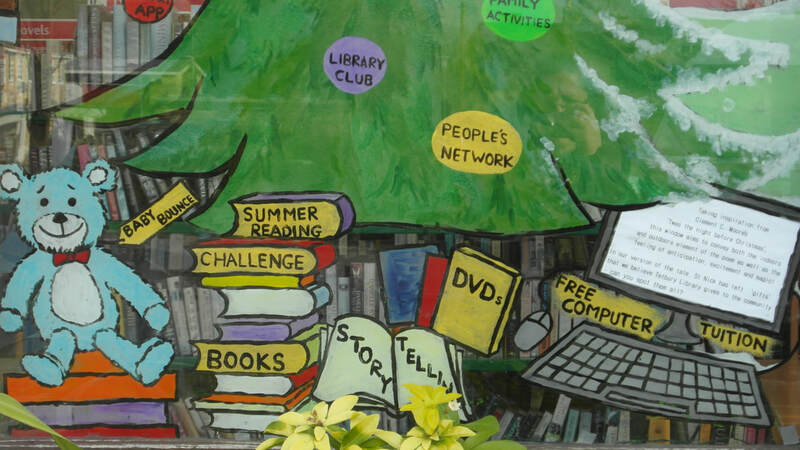 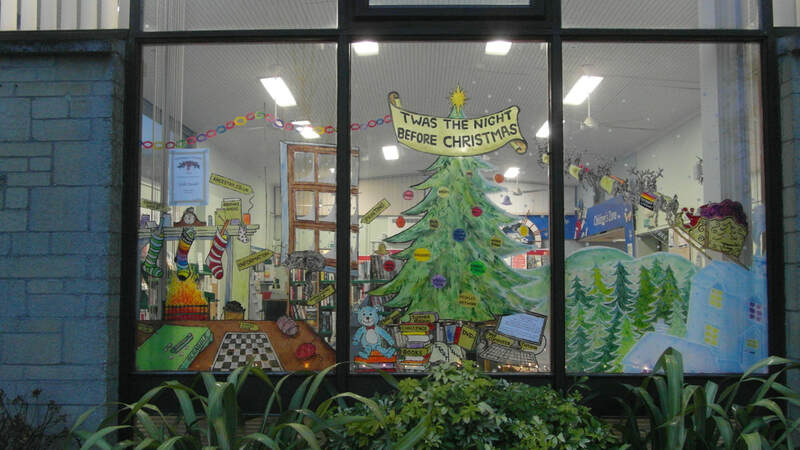 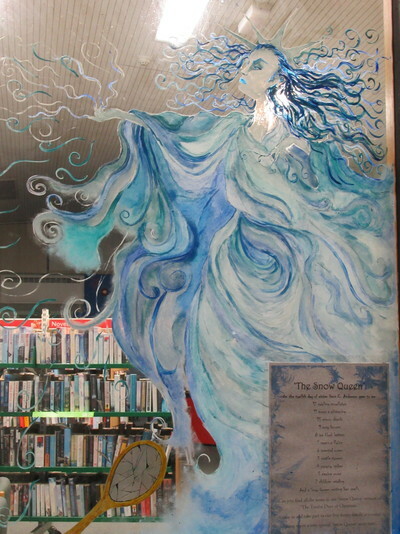 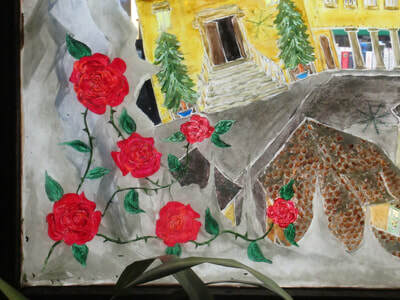 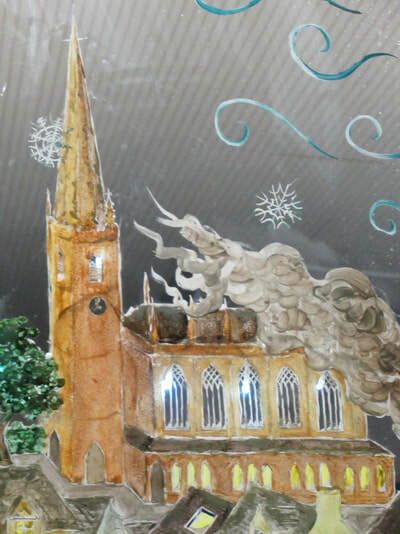 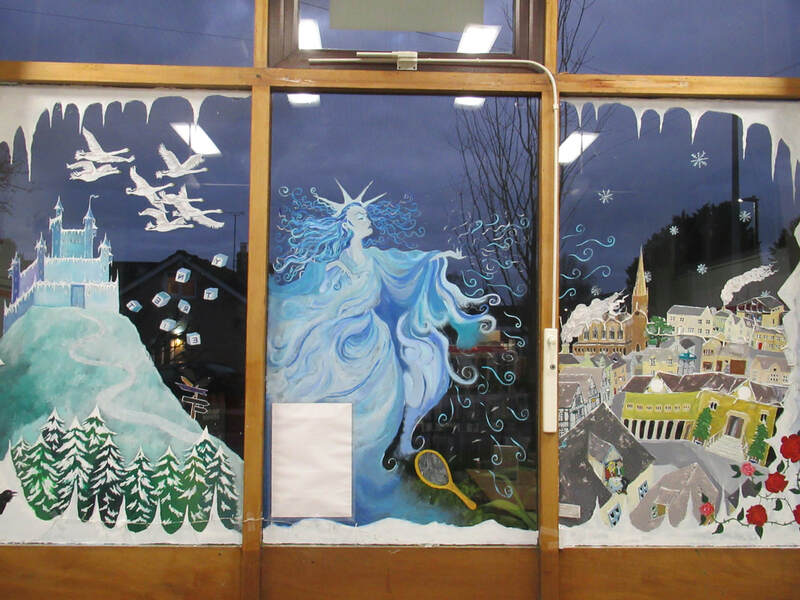 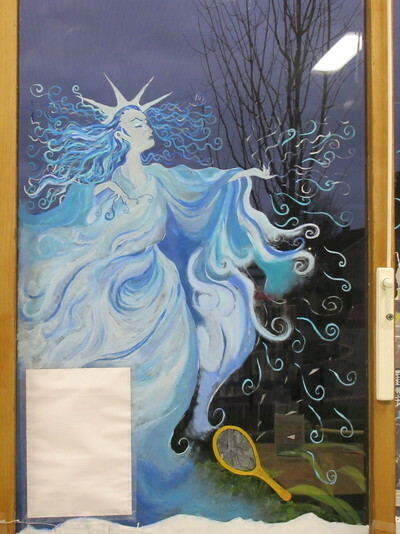 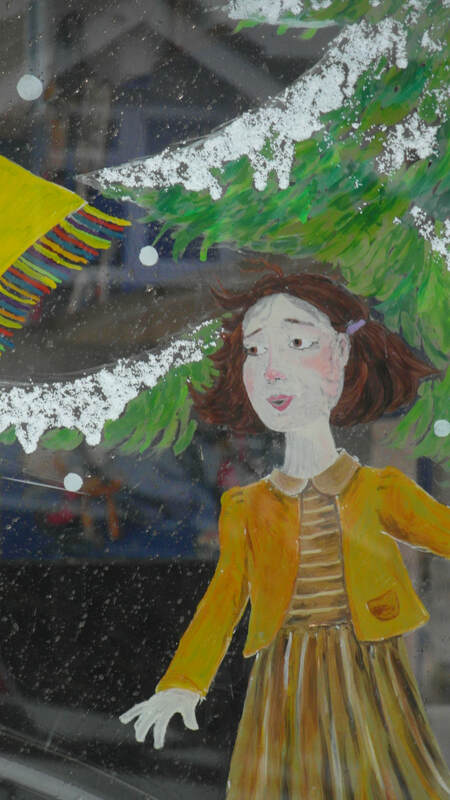 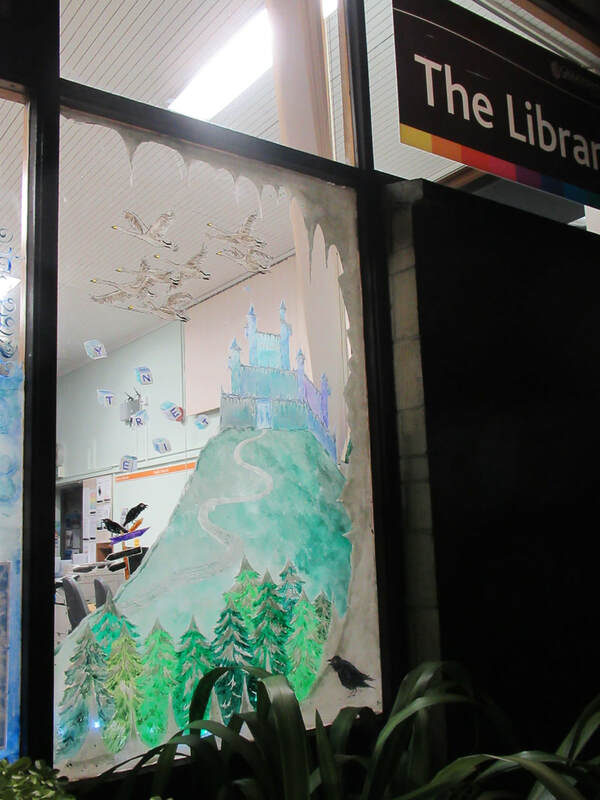 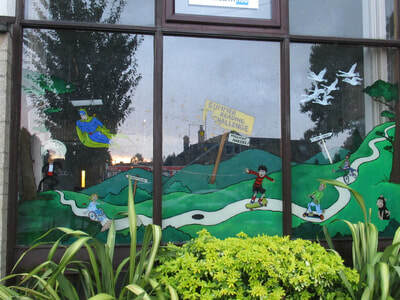 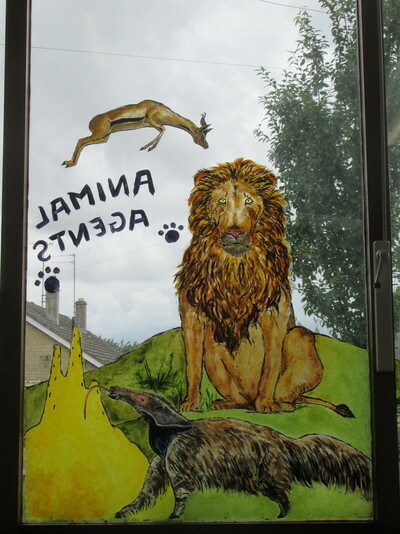 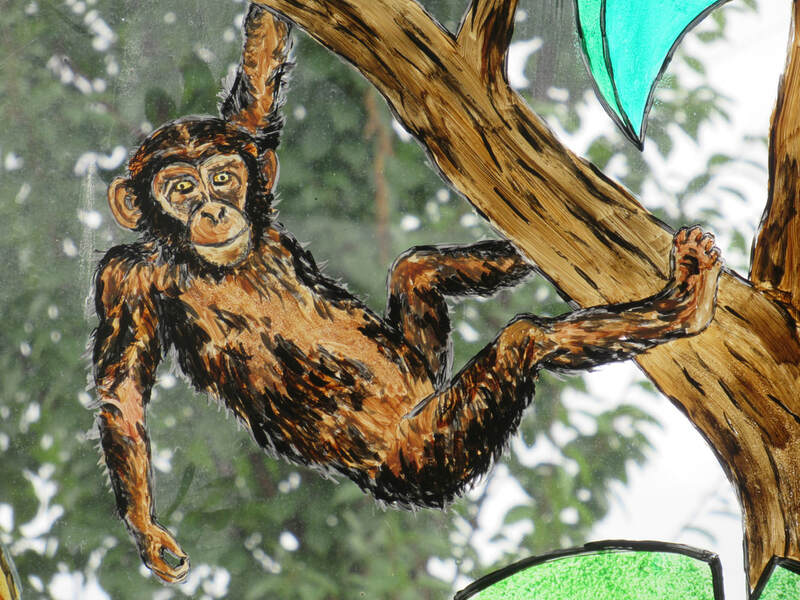 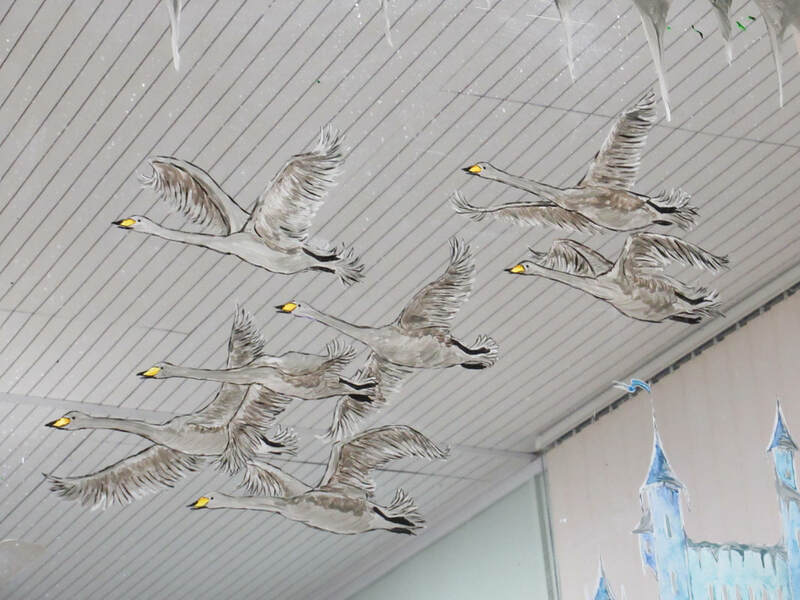 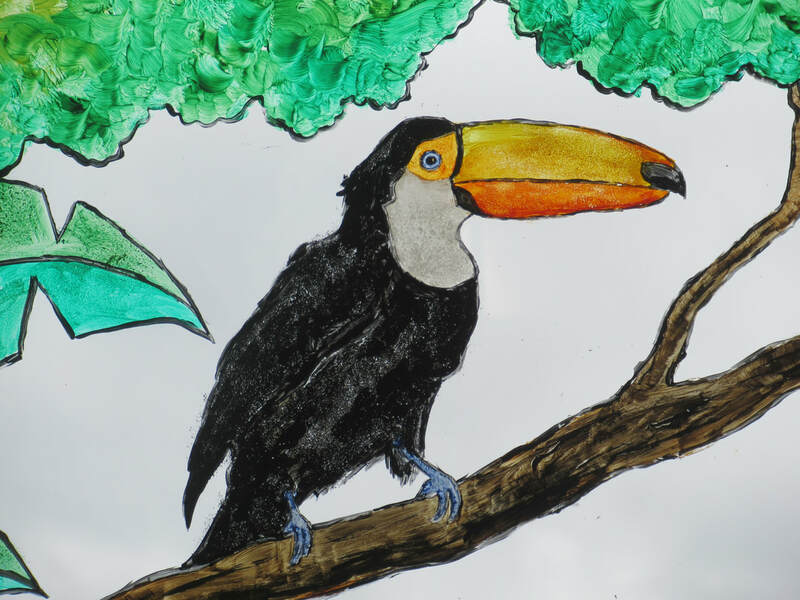 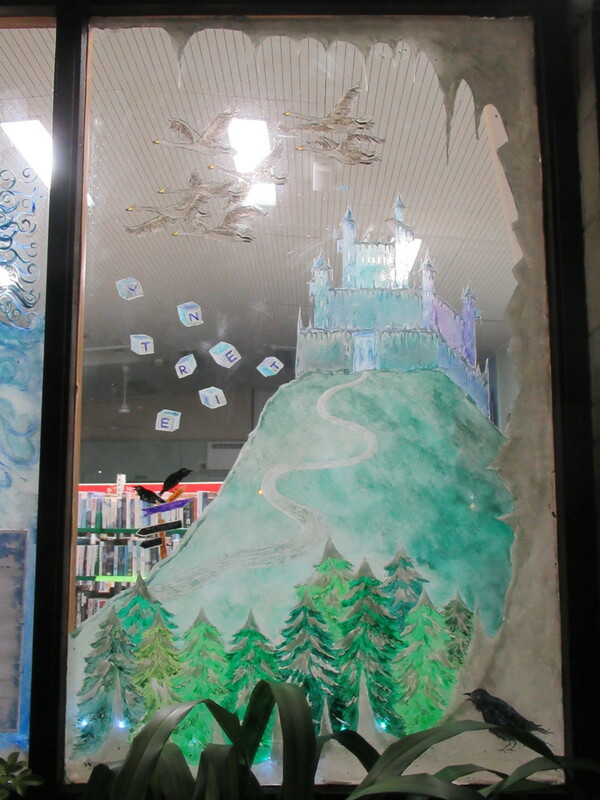 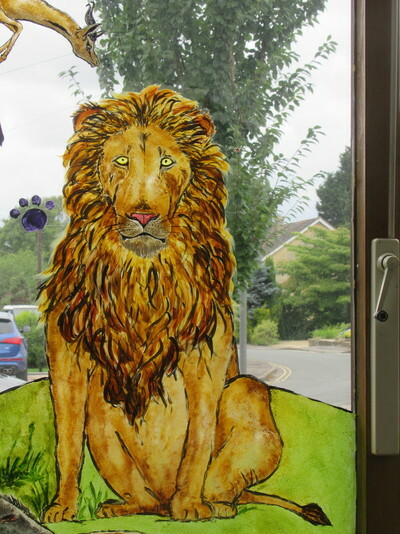 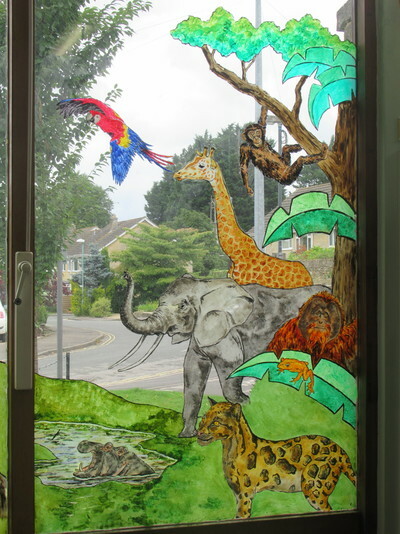 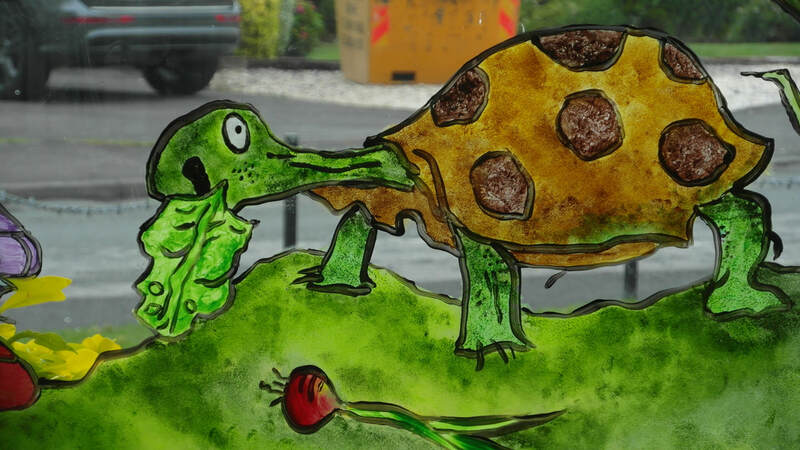 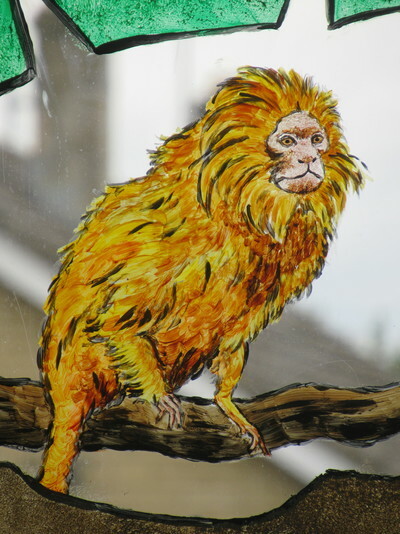 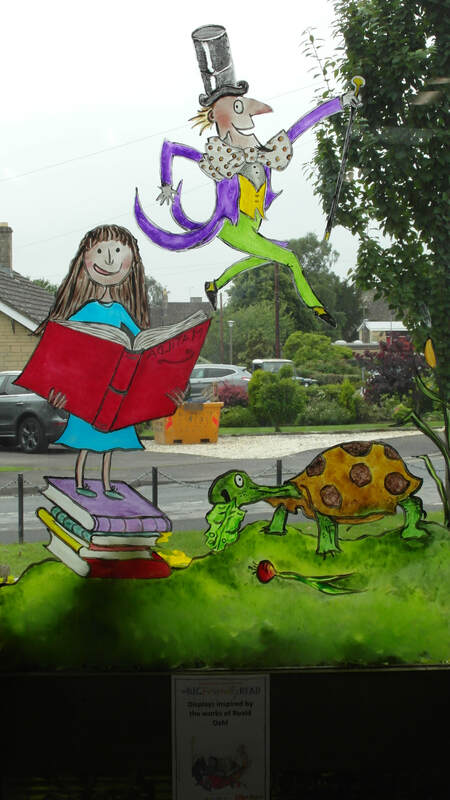 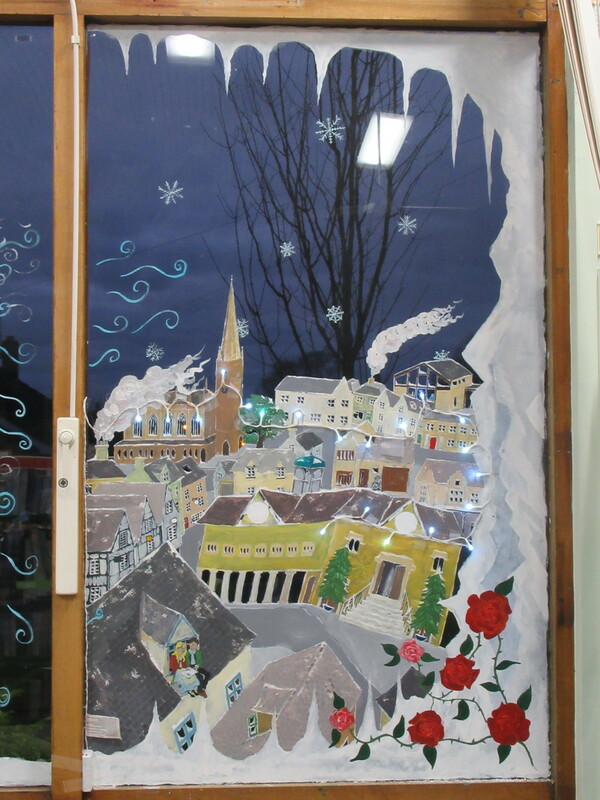 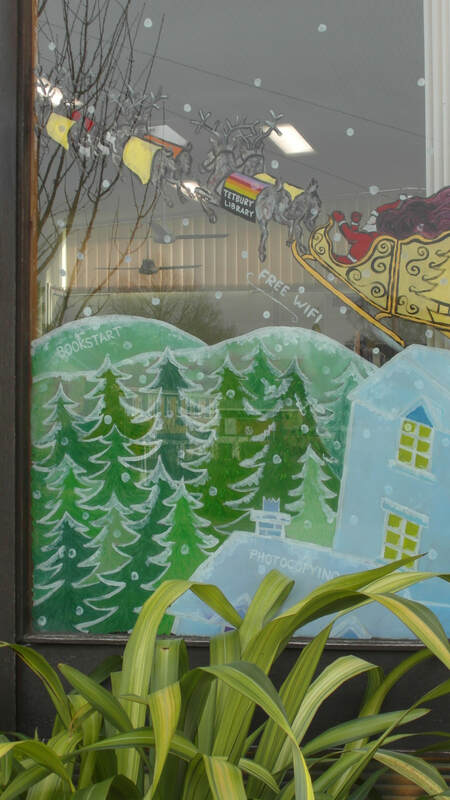 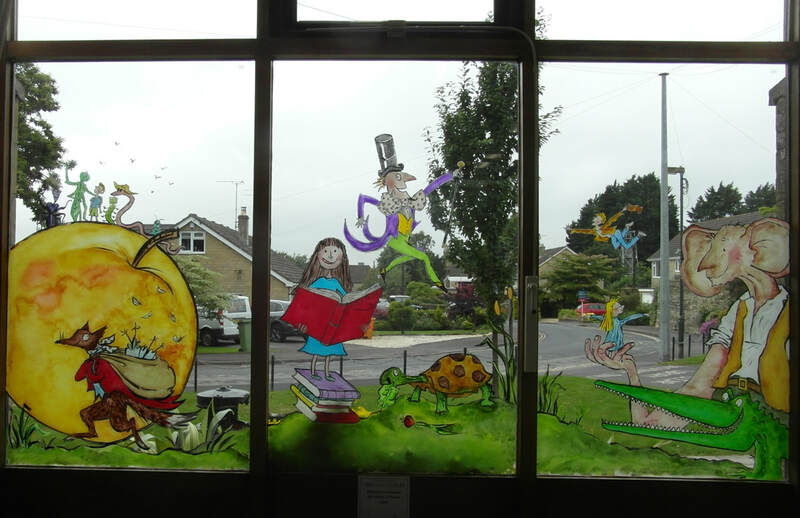 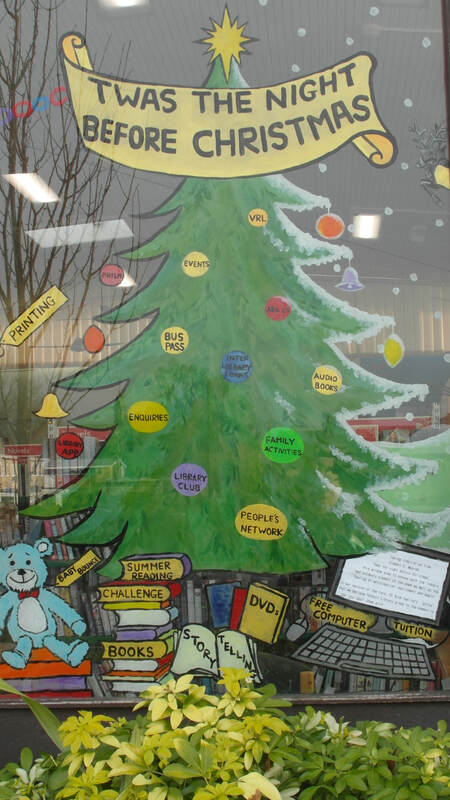 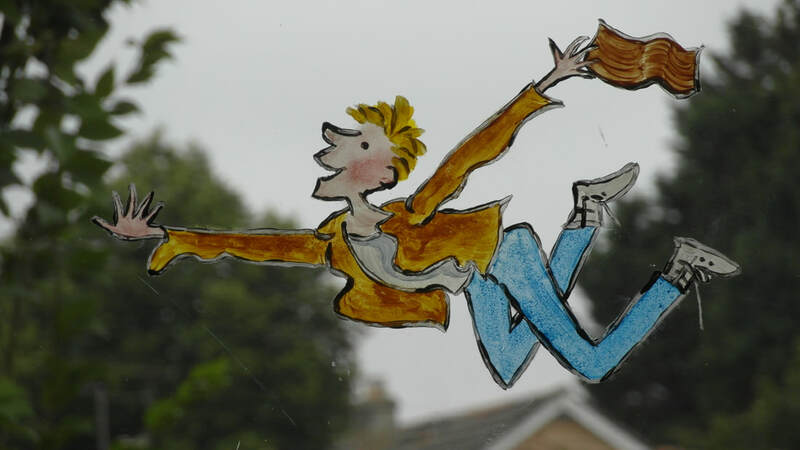 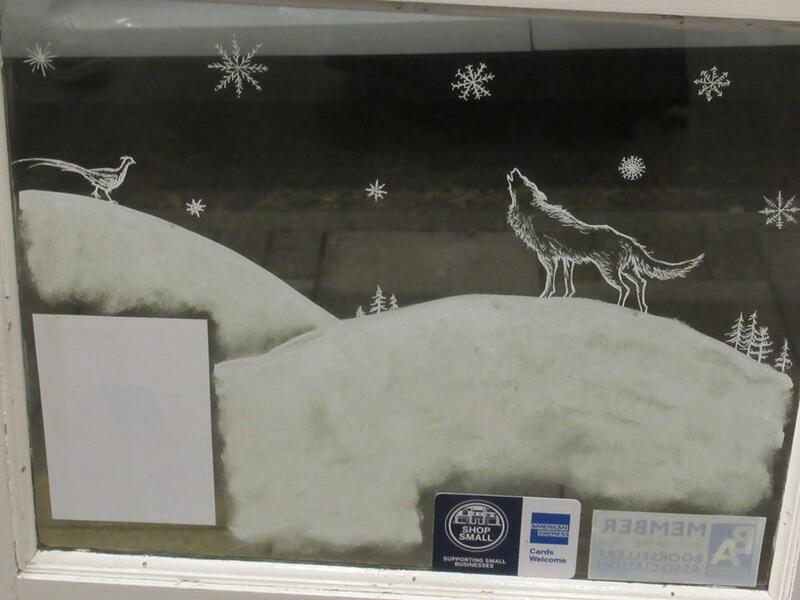 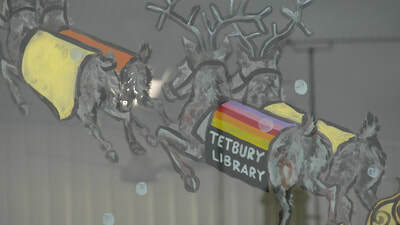 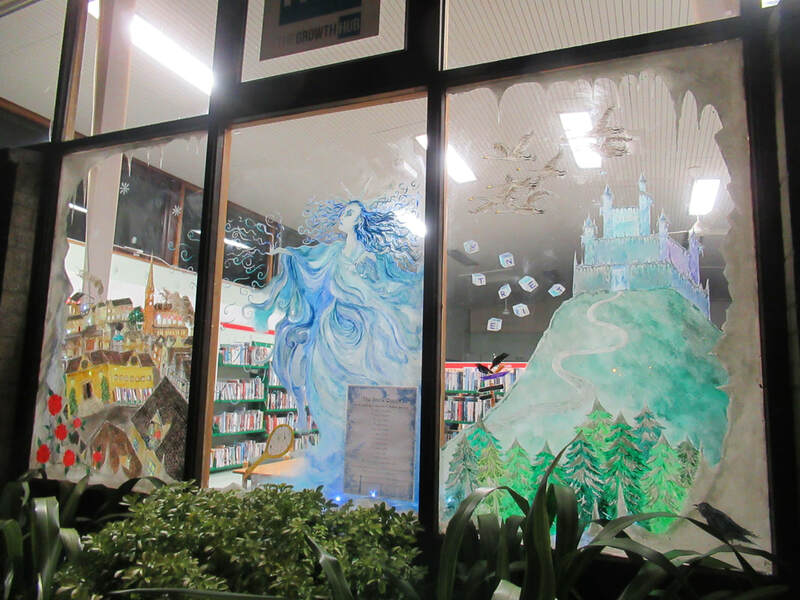 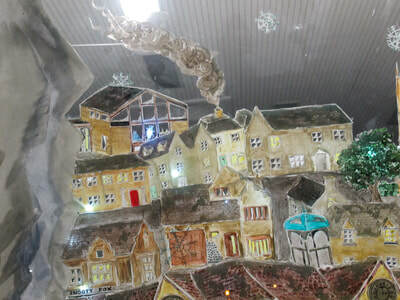 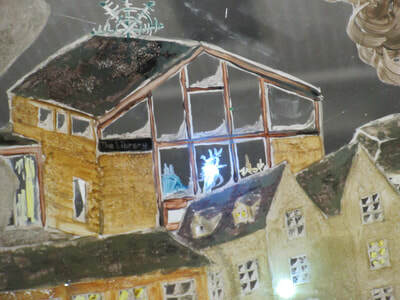 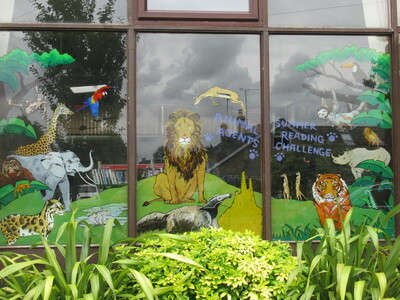 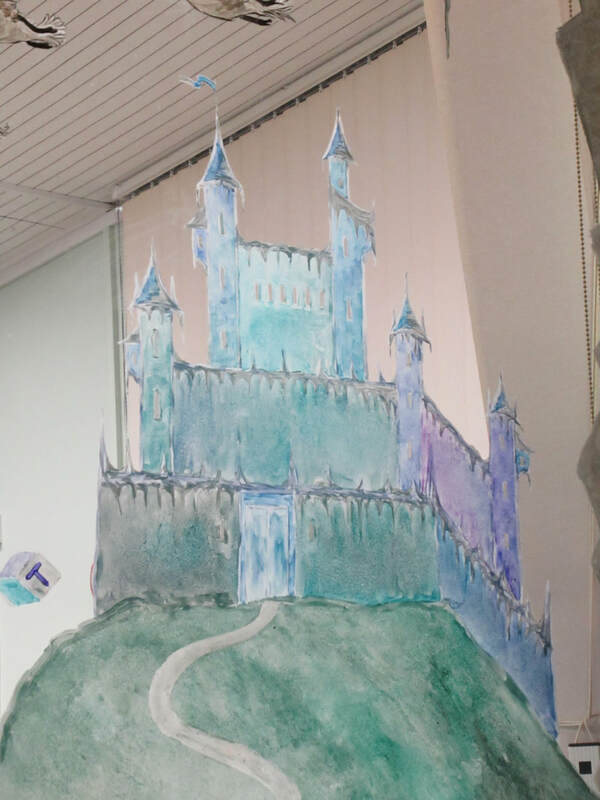 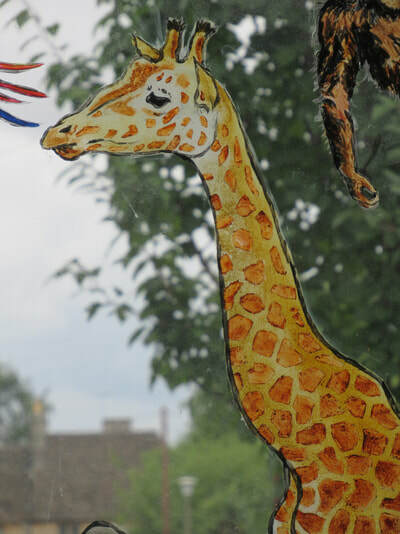 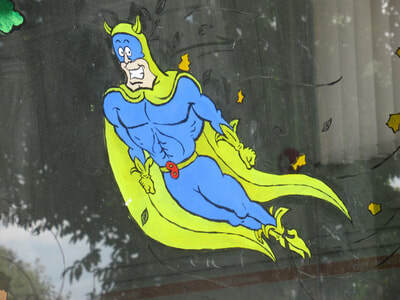 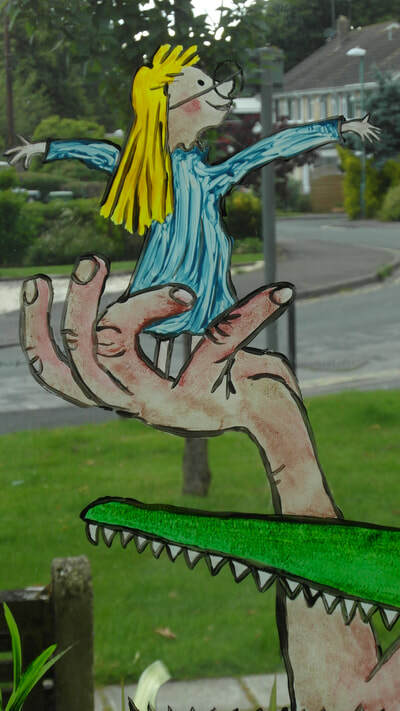 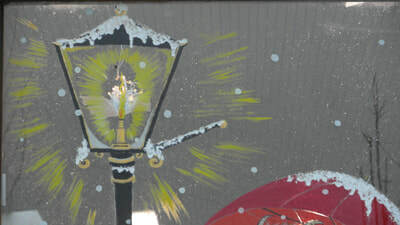 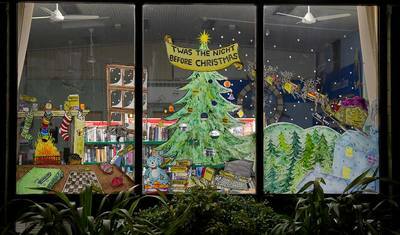 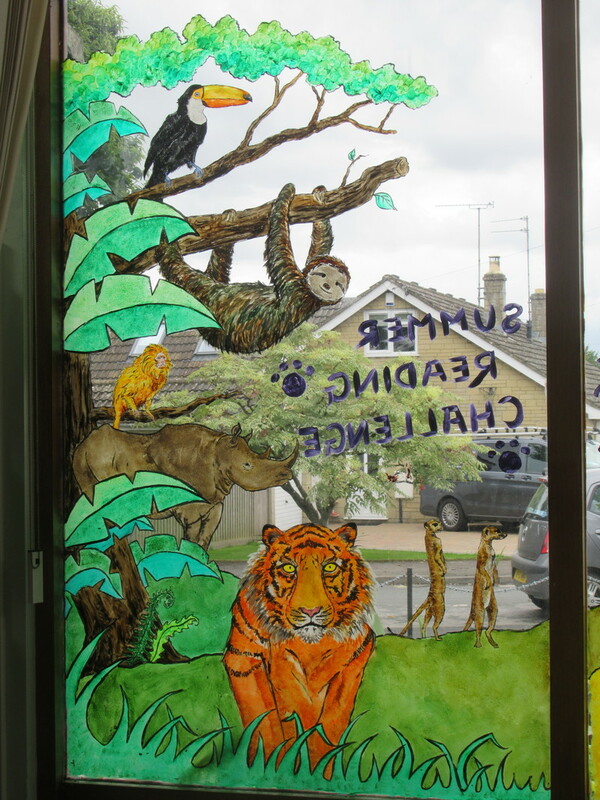 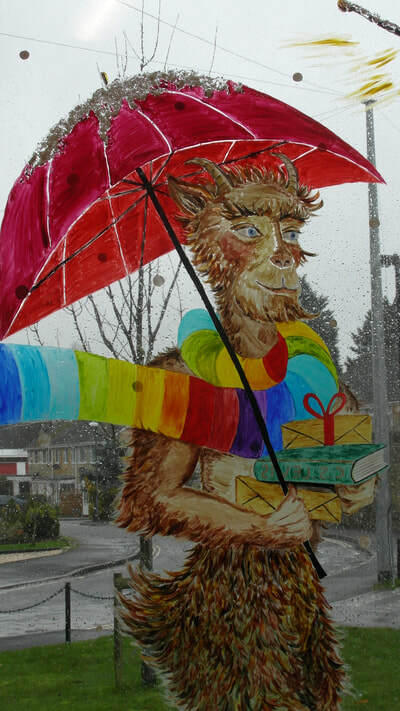 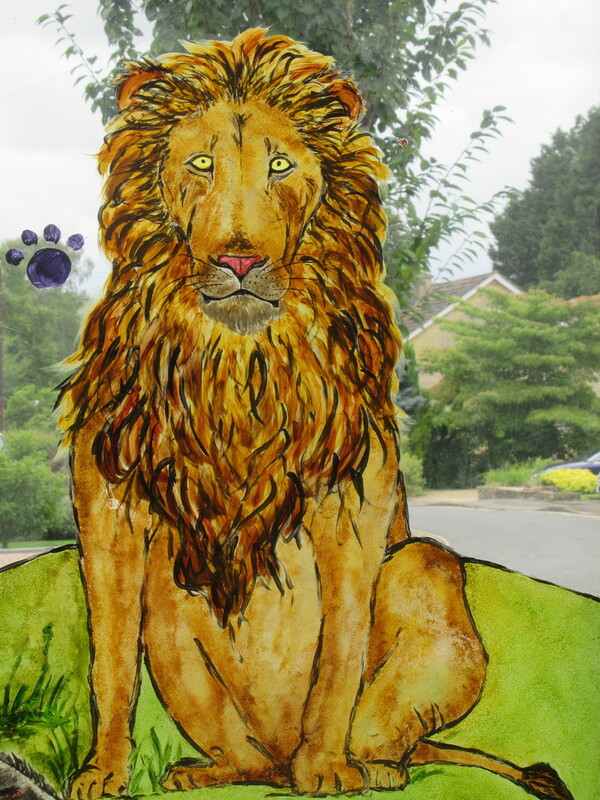 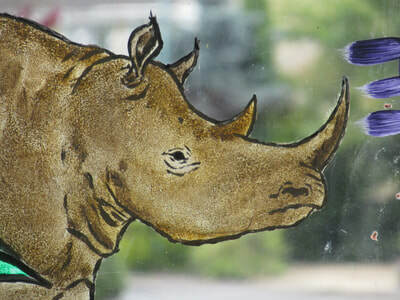 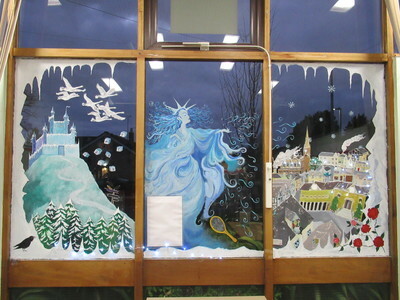 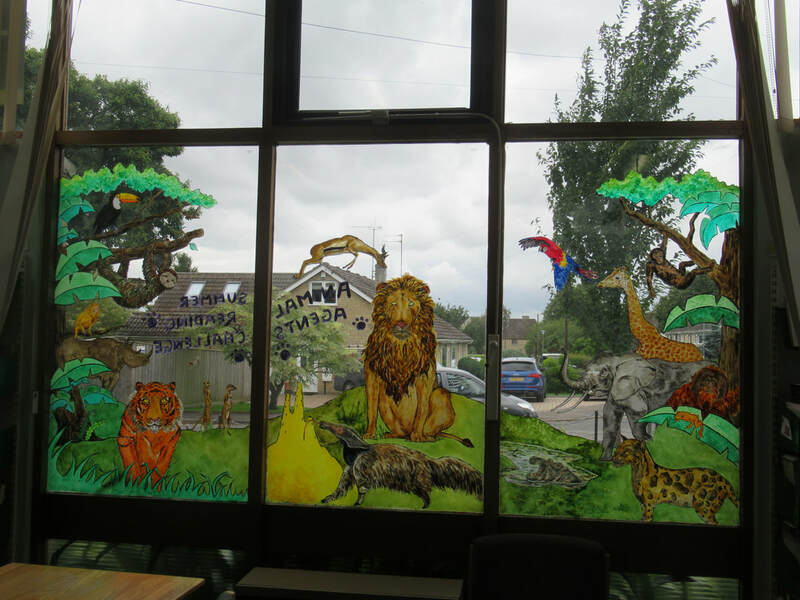 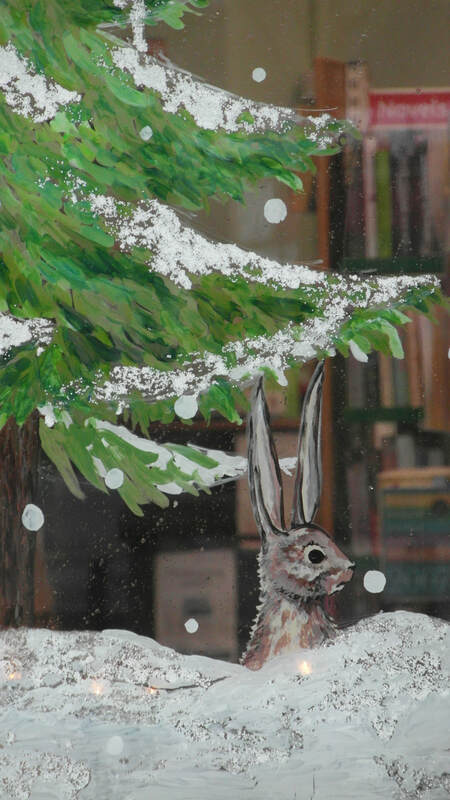 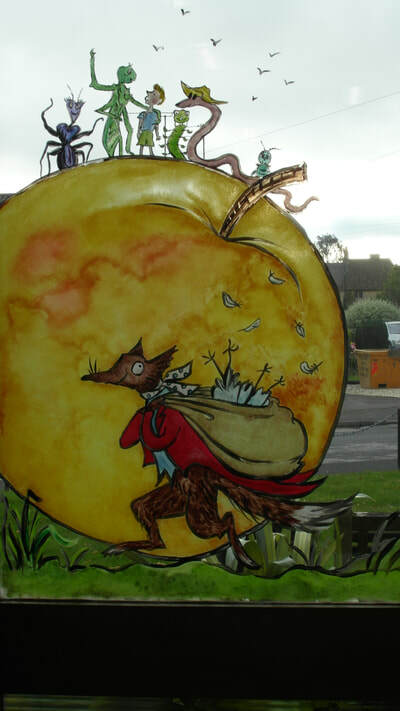 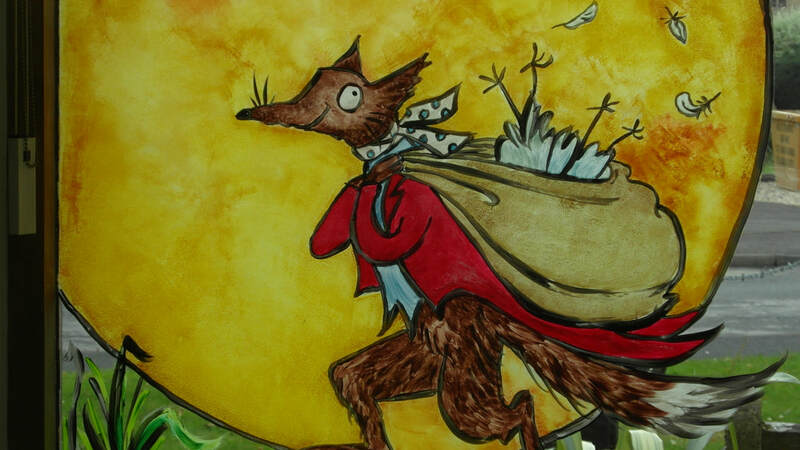 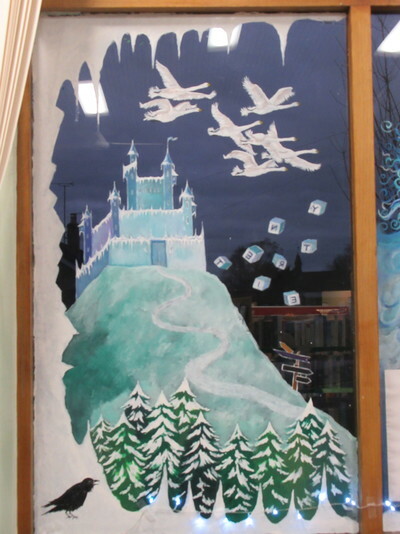 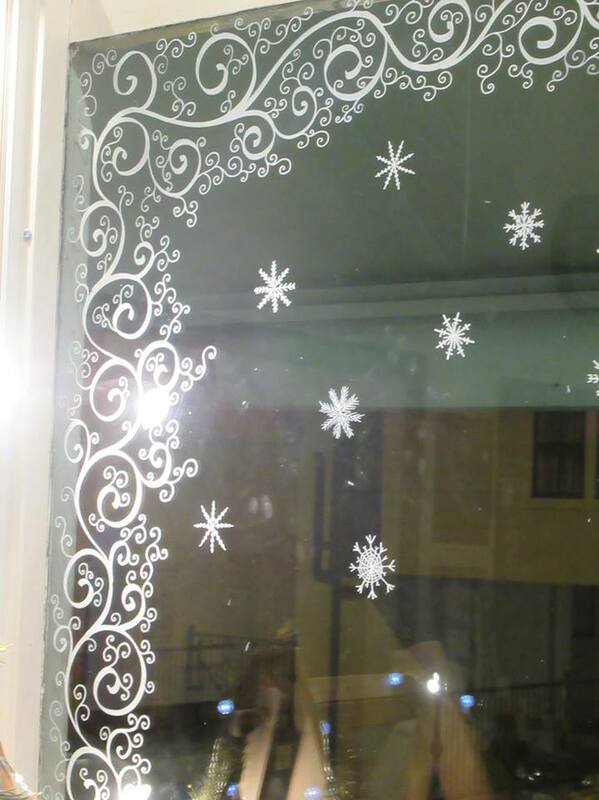 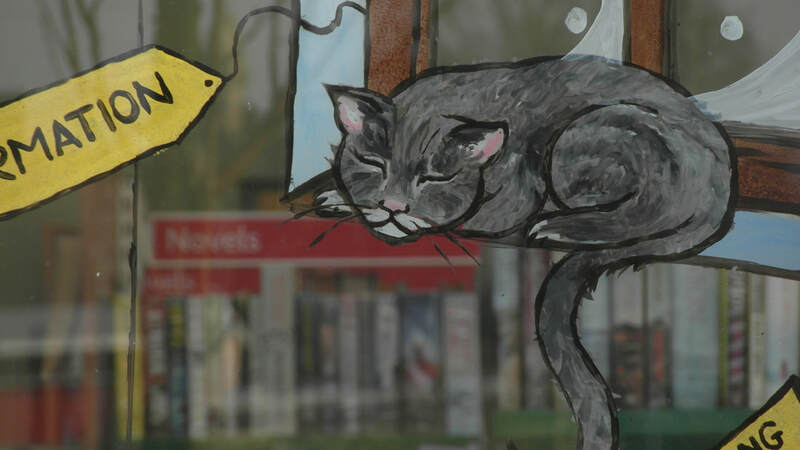 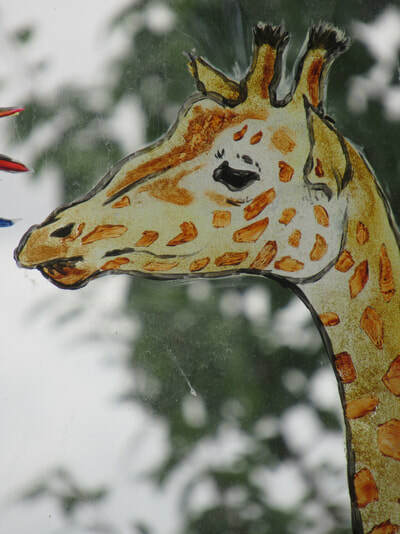 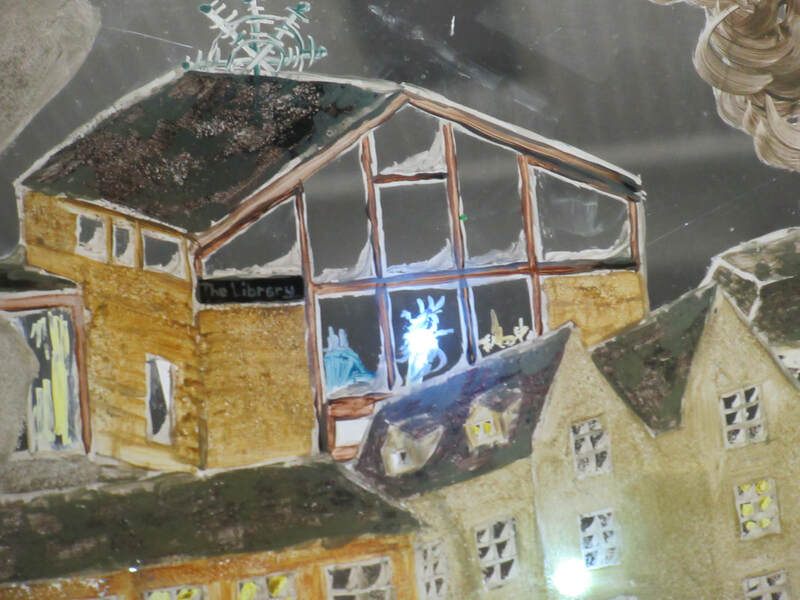 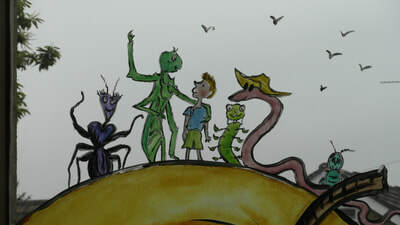 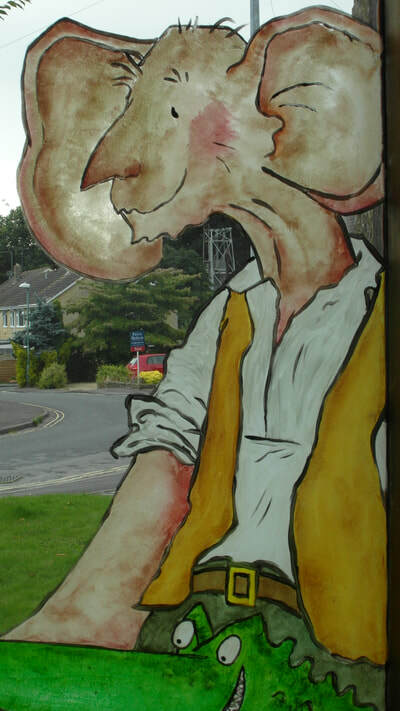 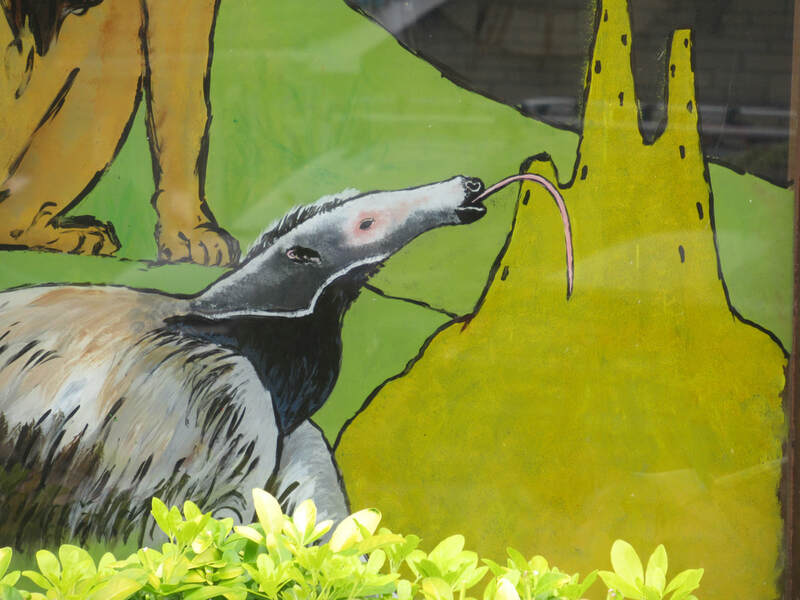 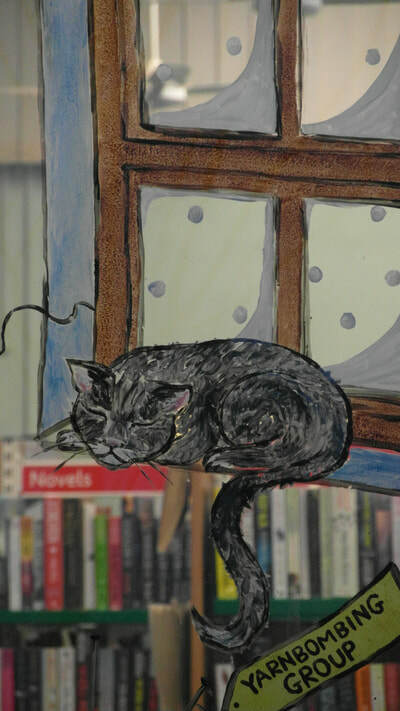 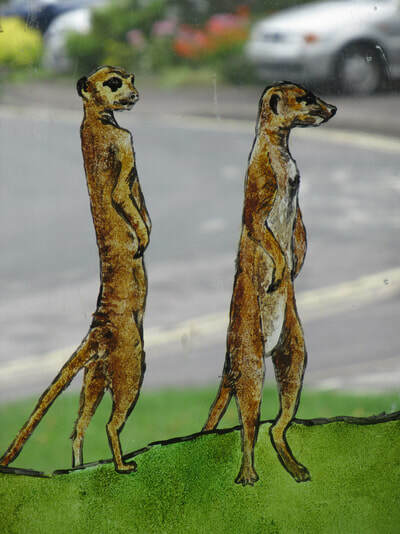 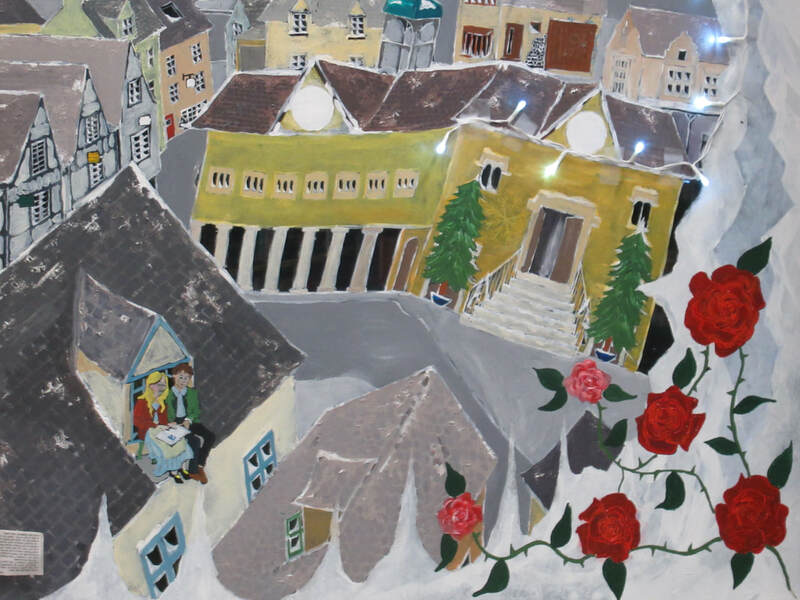 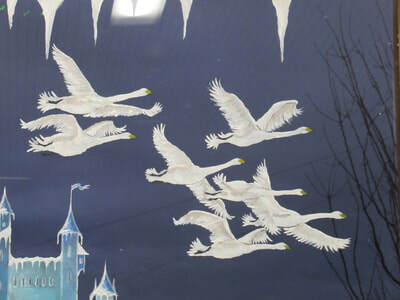 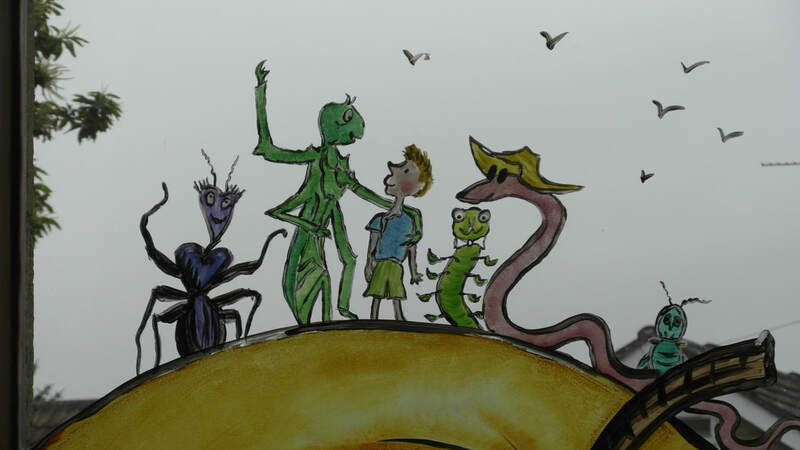 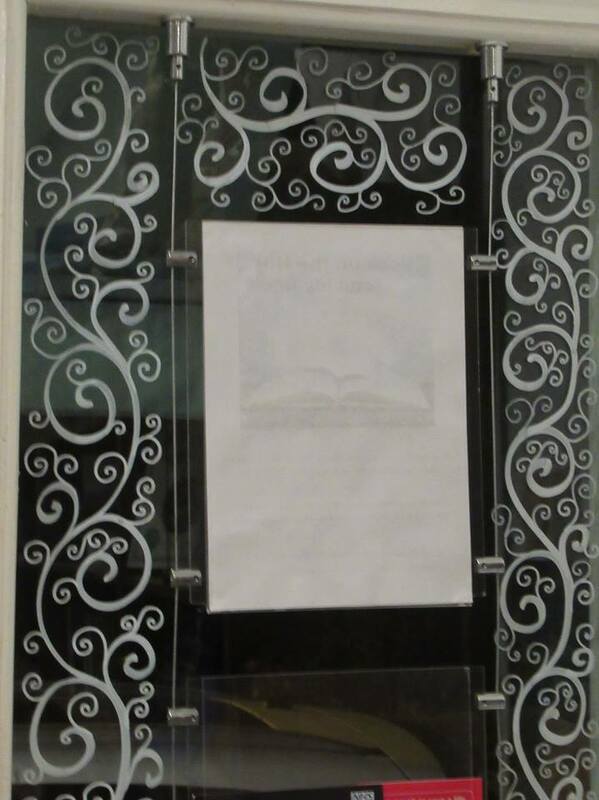 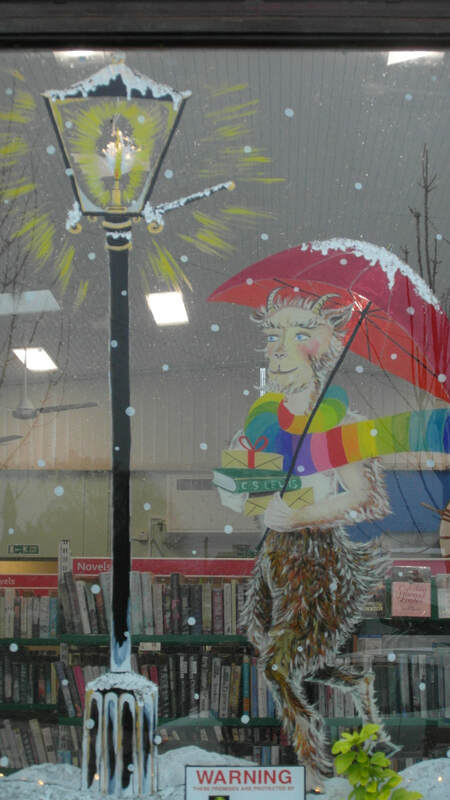 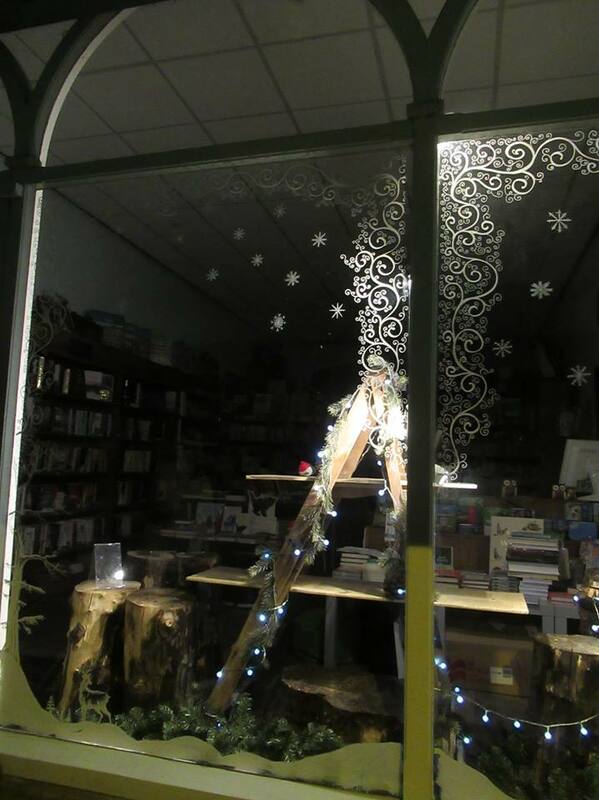 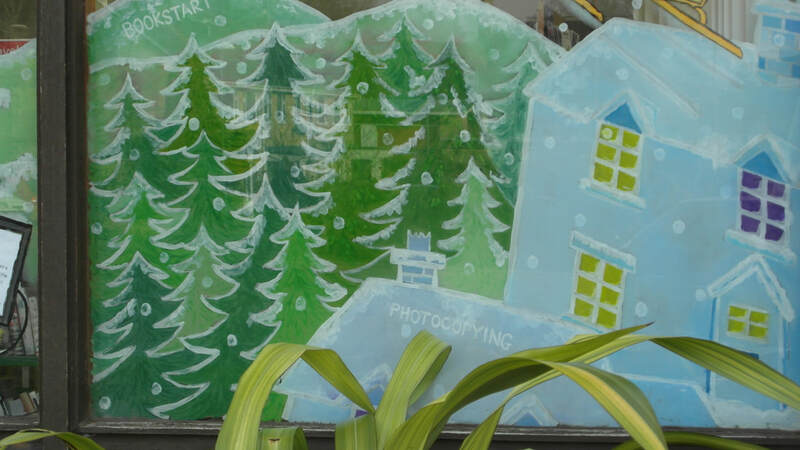 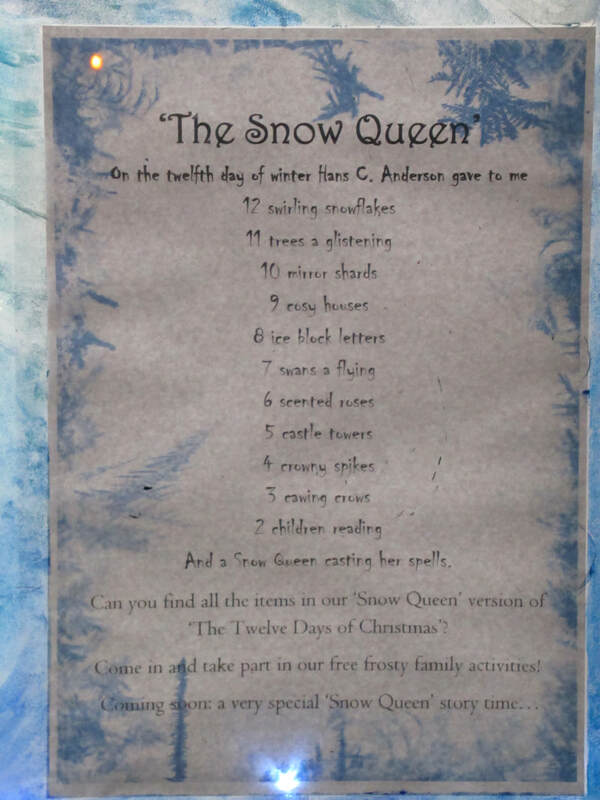 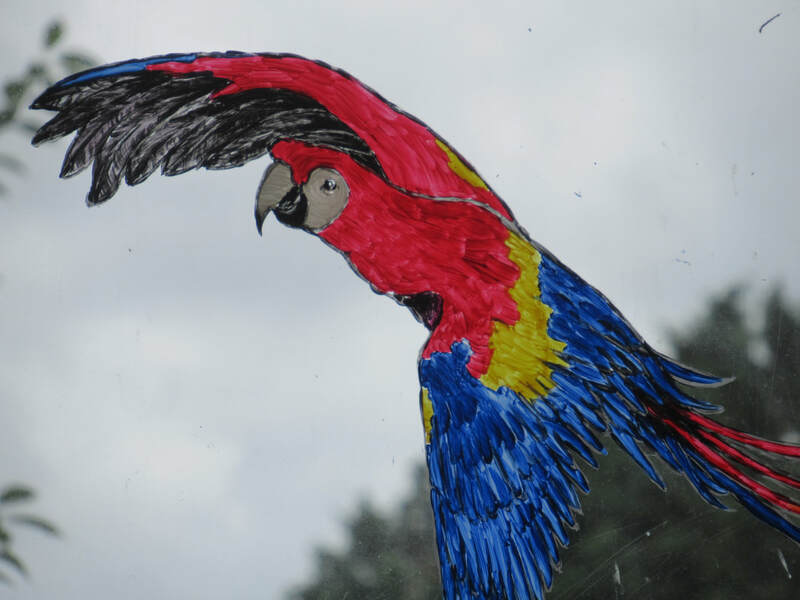 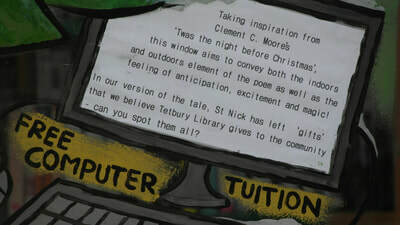 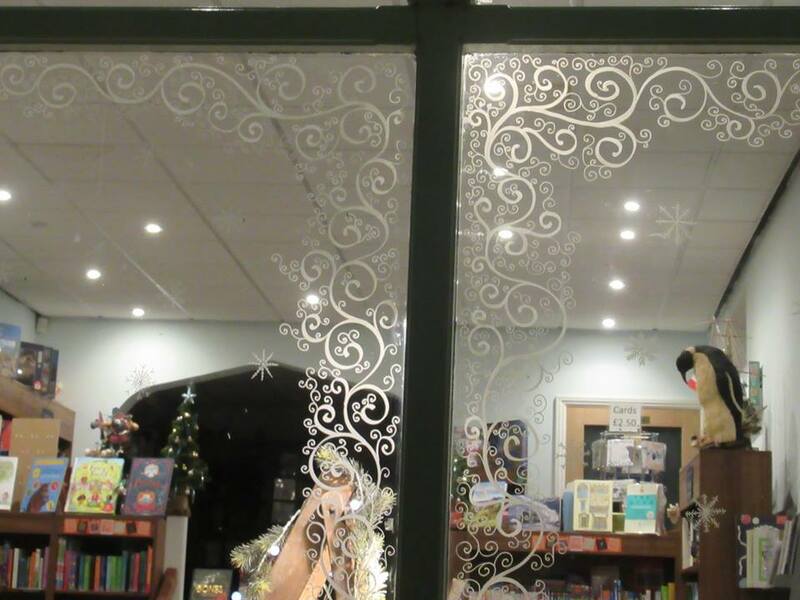 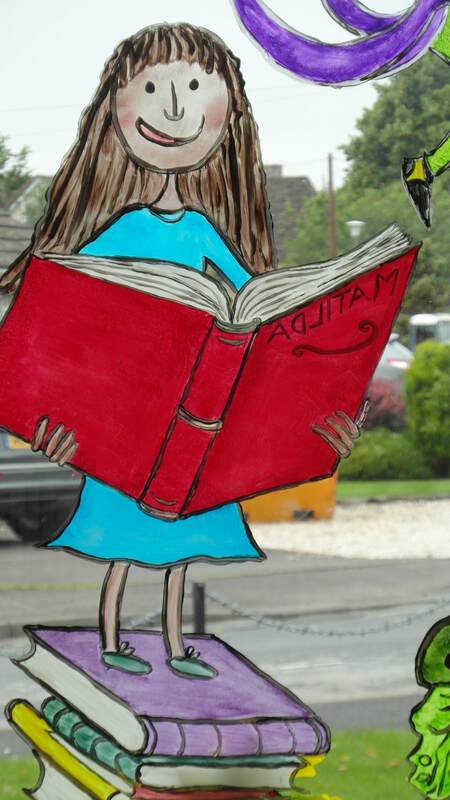 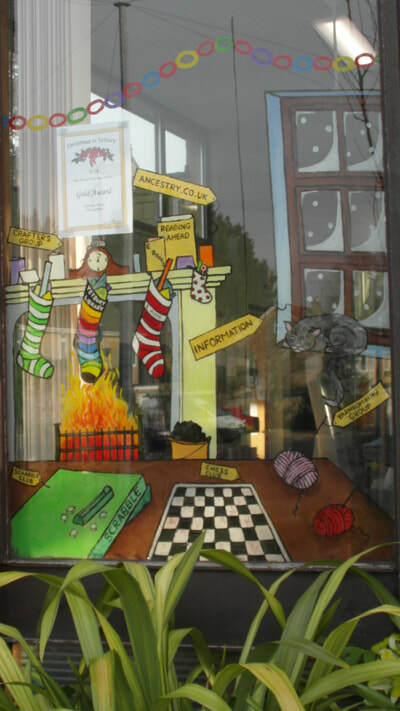 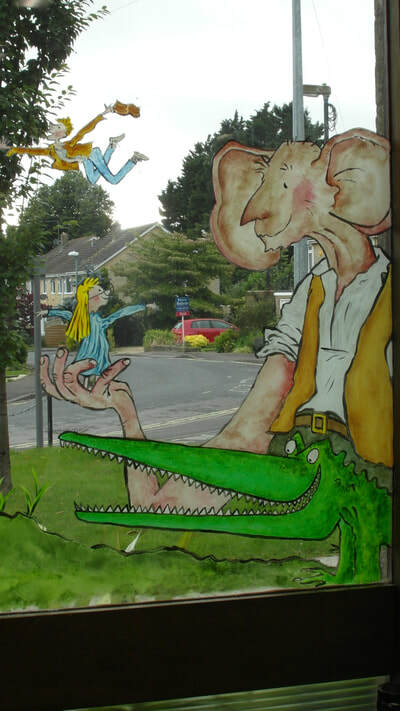 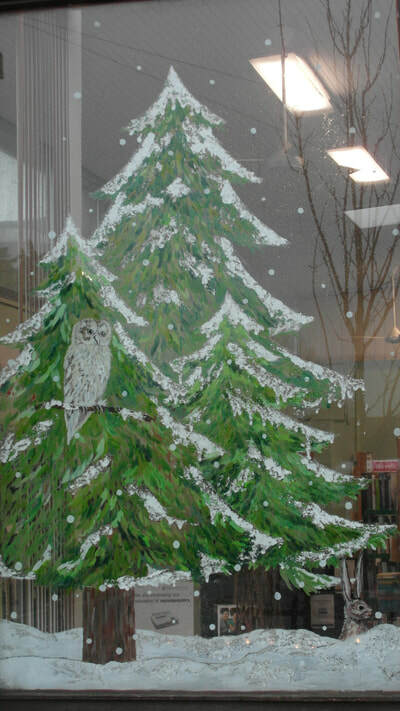 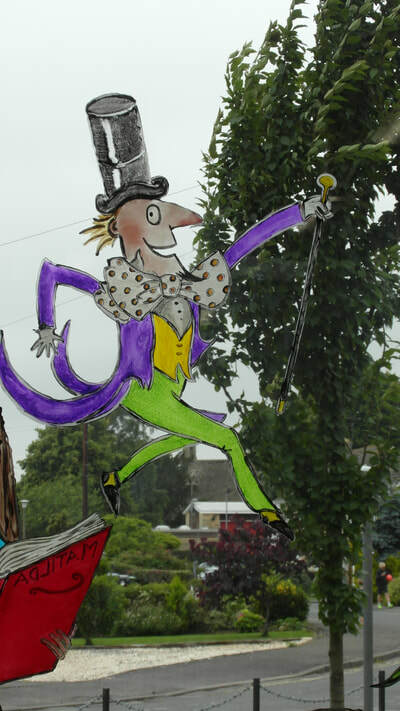 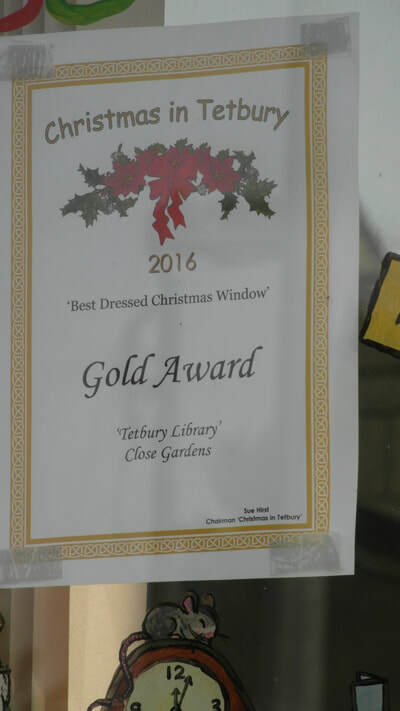 Below is a gallery of some of the large window mural paintings I have painted for the Summer Reading Challenge (SRC - a national library summer reading incentive), as well as Christmas Display window paintings, including winning the Gold Award at the Tetbury Christmas Window Display Competition!